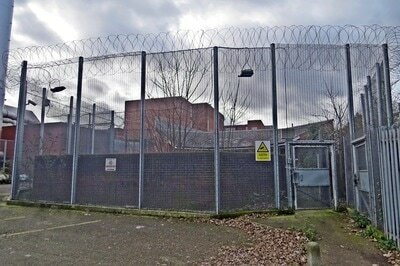 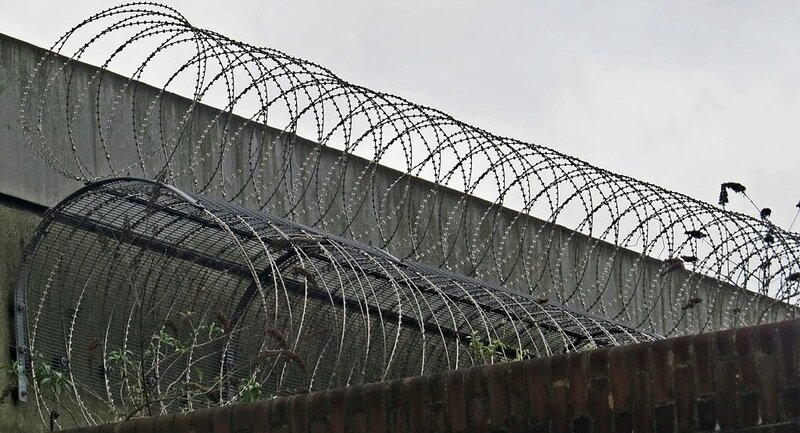 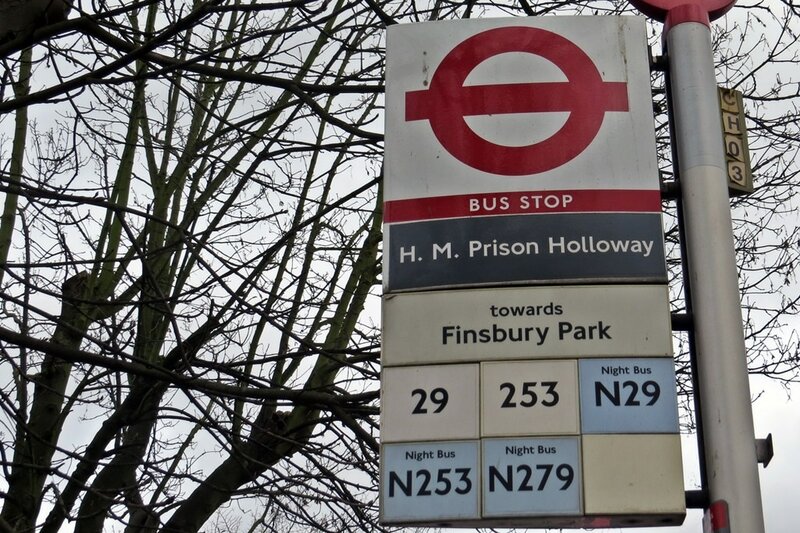 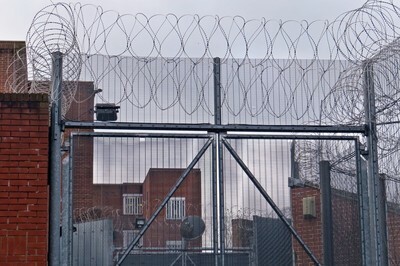 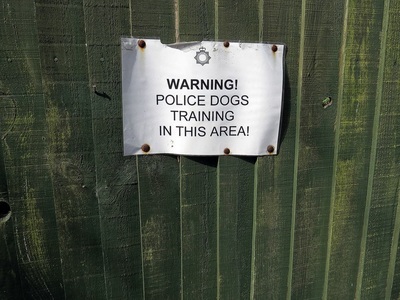 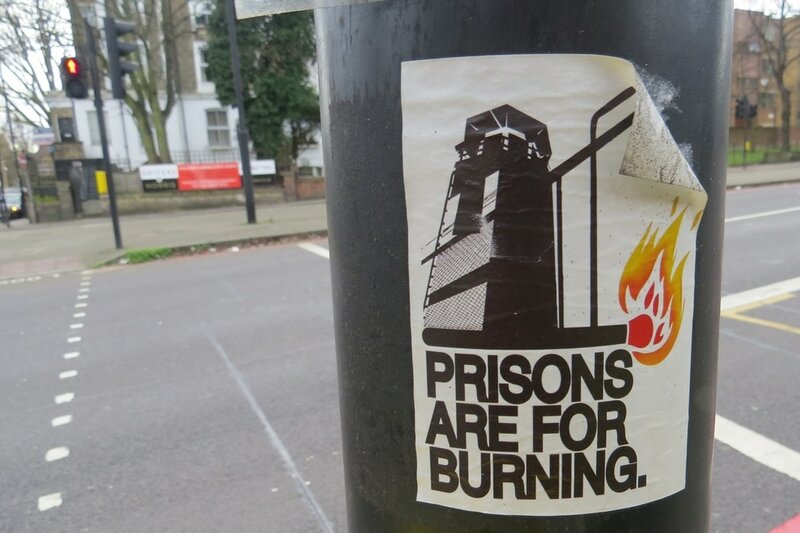 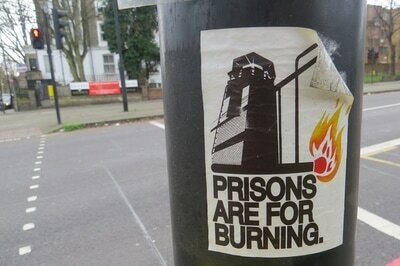 ​​One of many police stations to close in London in recent years. Many of the buildings at the back have been demolished apart from this one which will be refurbished to provide 8 new apartments alongside a further 24 newbuild apartments and townhouses. 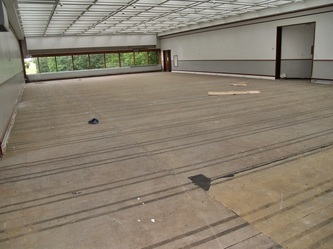 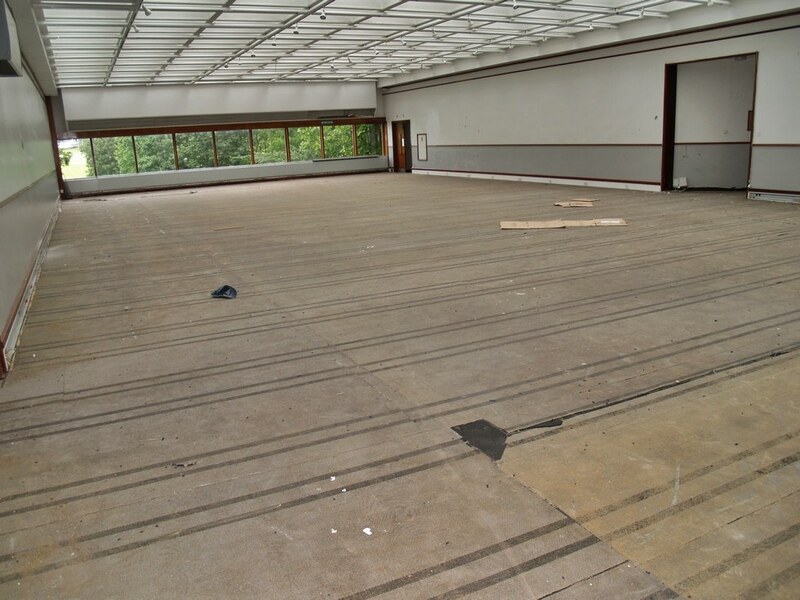 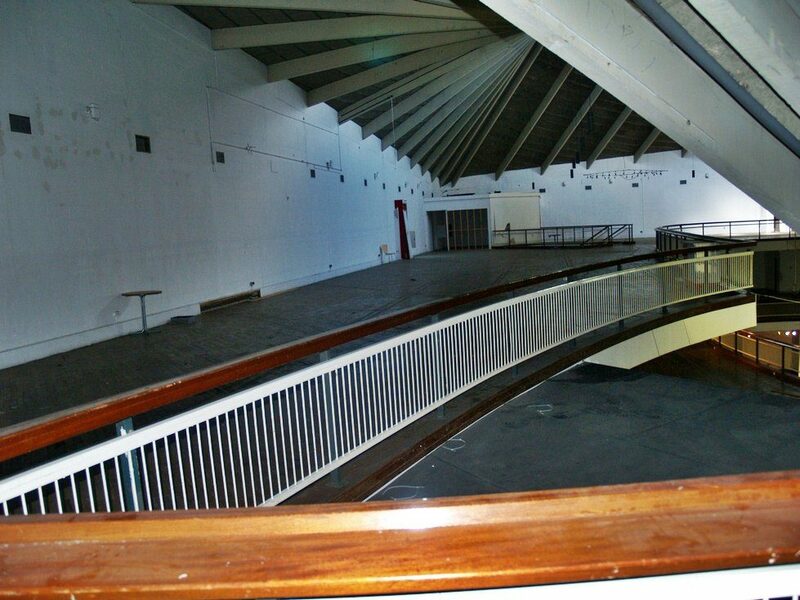 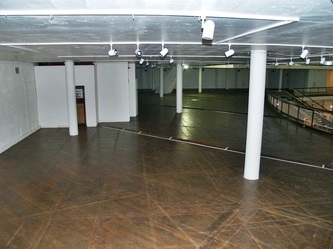 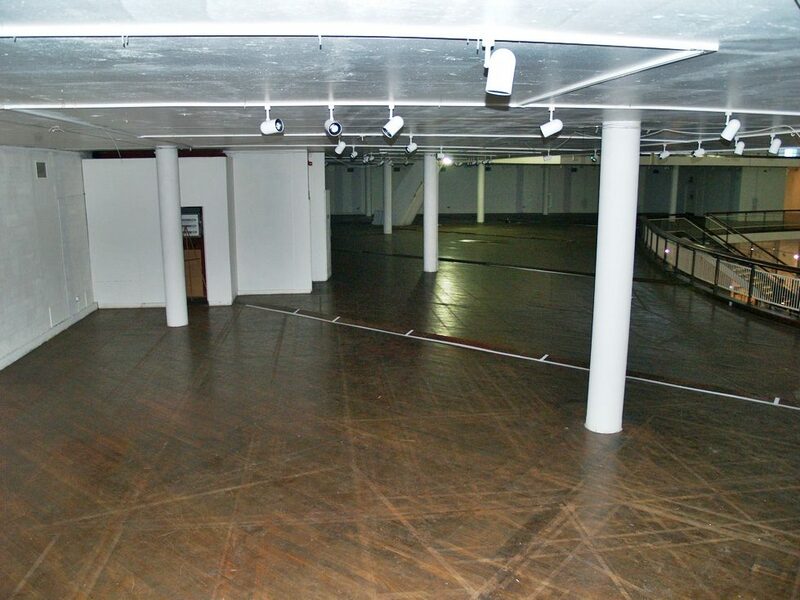 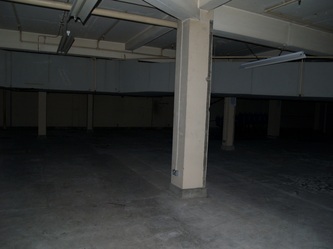 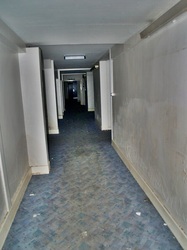 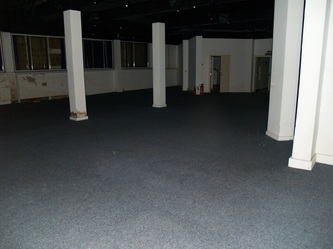 Most of the building has already been gutted out leaving not alot to see. 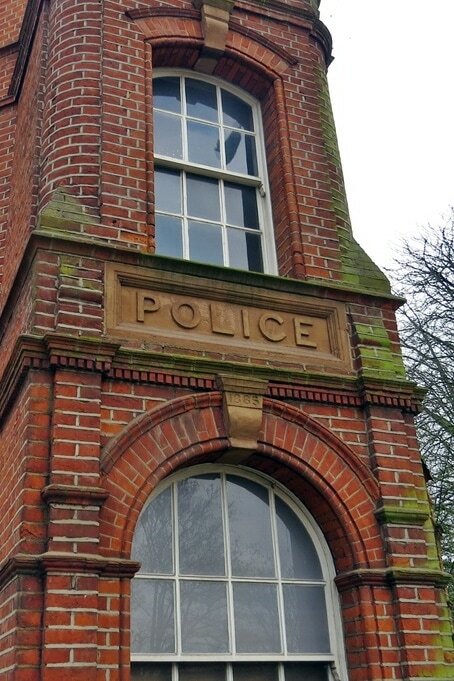 This was Dartford's first police station when it was built in 1843. 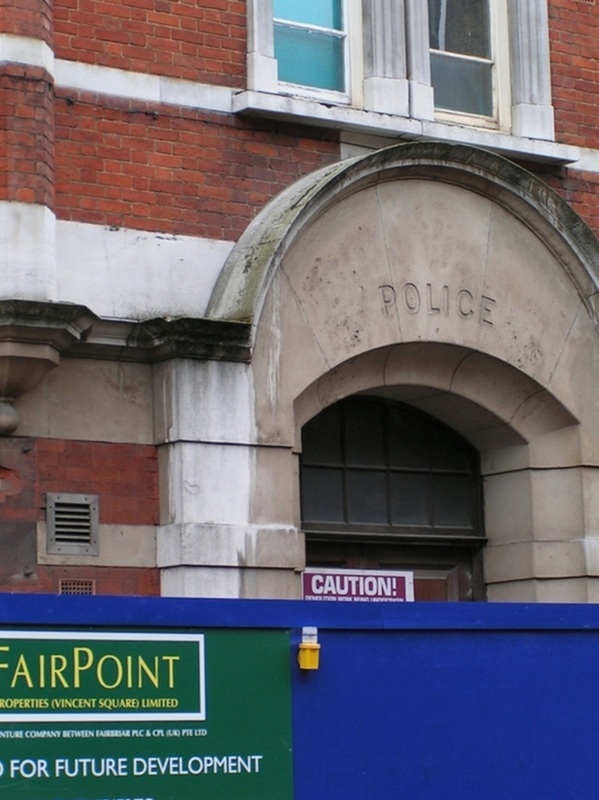 It had 4 cells and in 1872 was replaced by a new police station in Highfield Rd. 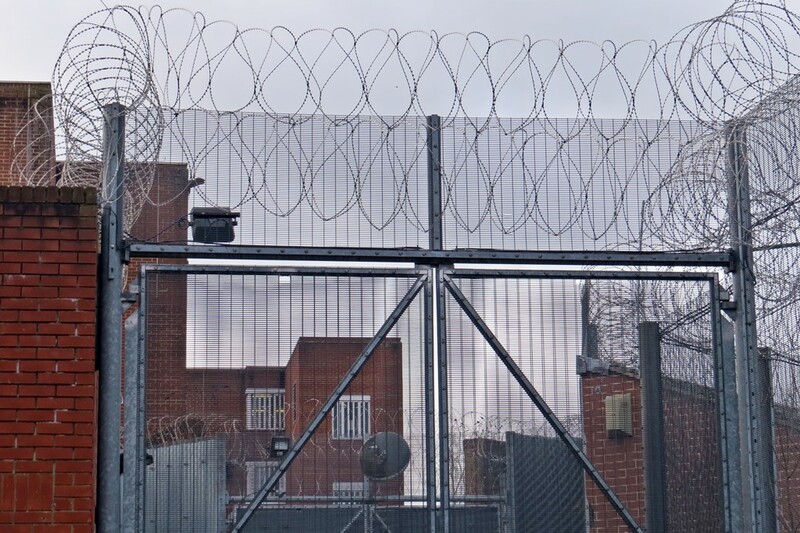 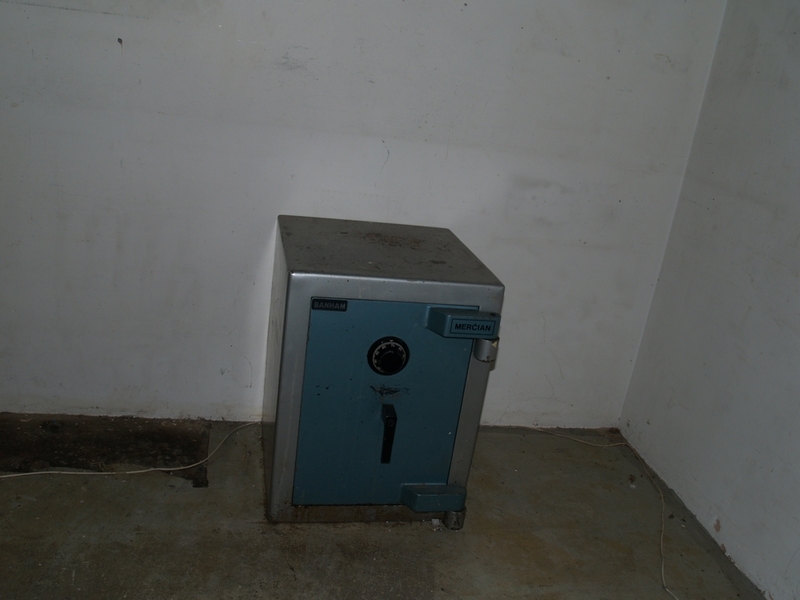 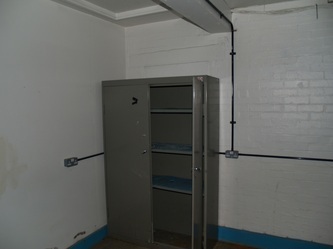 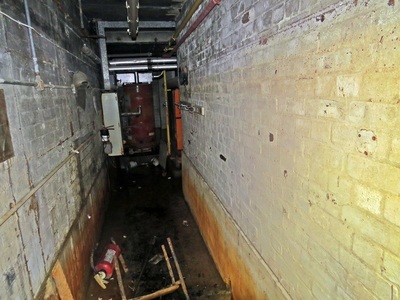 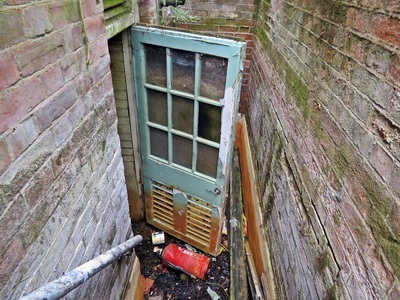 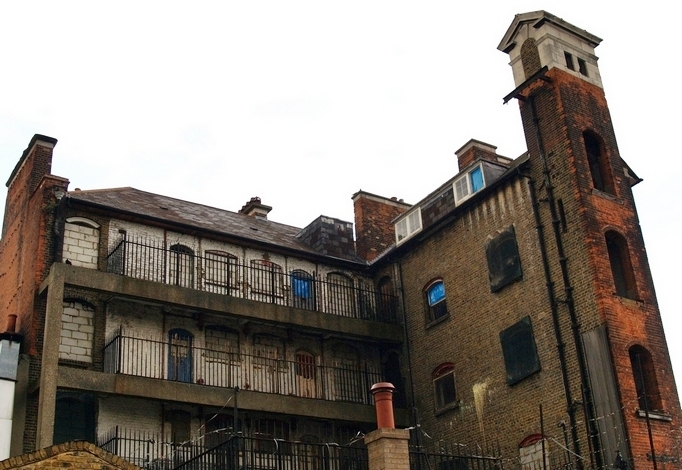 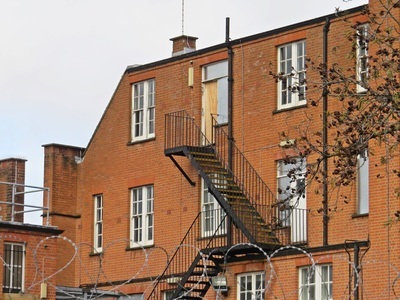 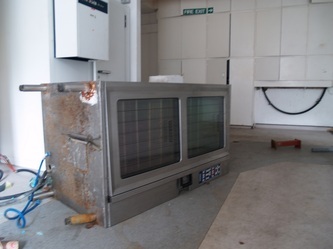 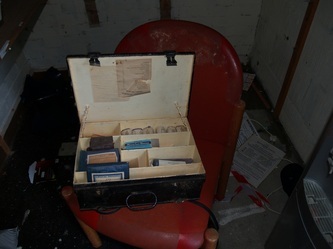 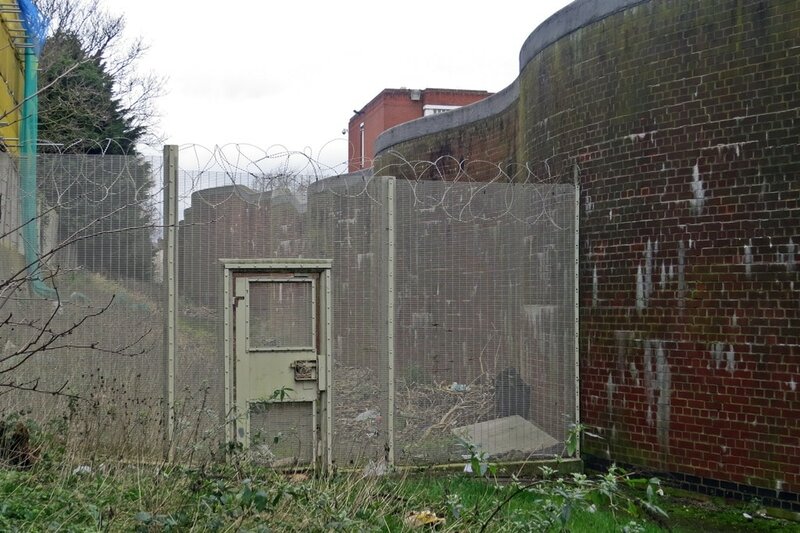 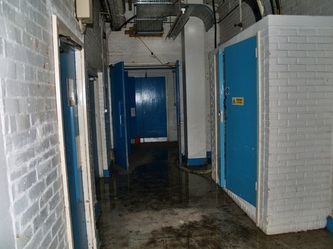 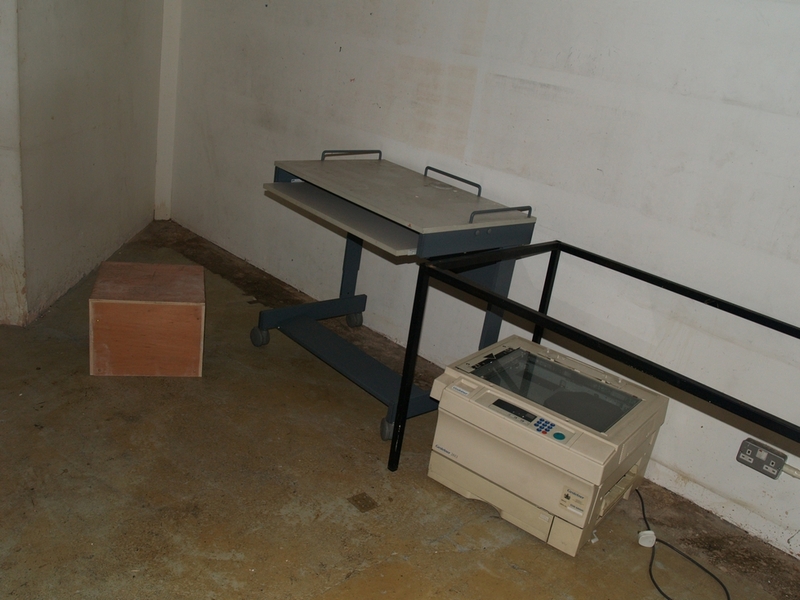 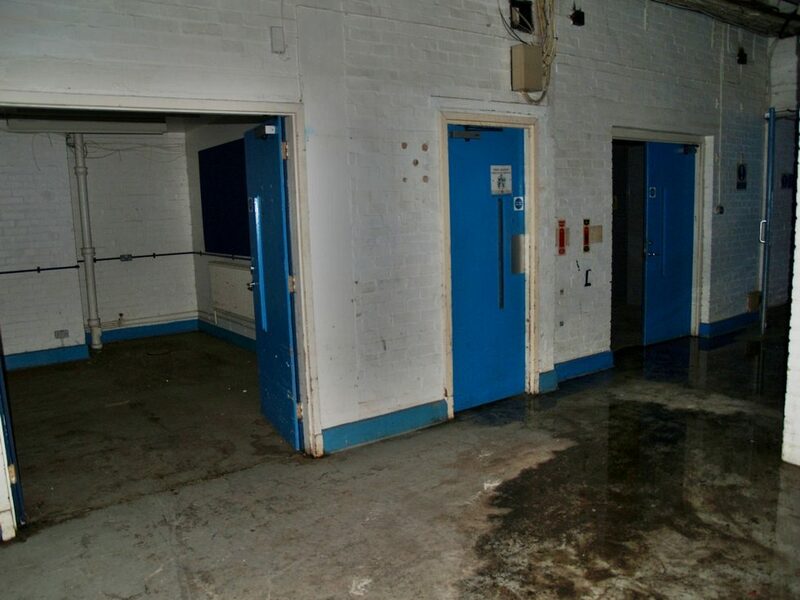 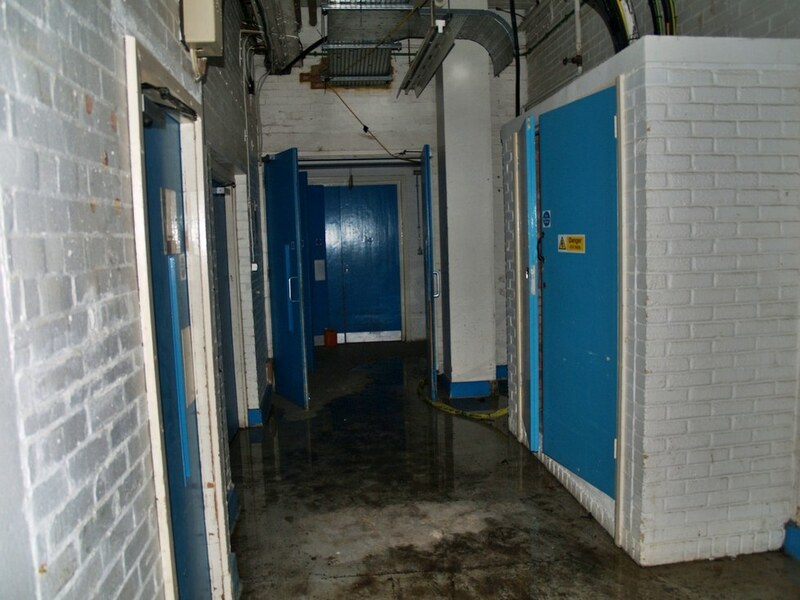 The lock-up was then used as accomodation for homeless in connection with the neighbouring workhouse and later as a place for drying clothing from the workhouse and hospital. 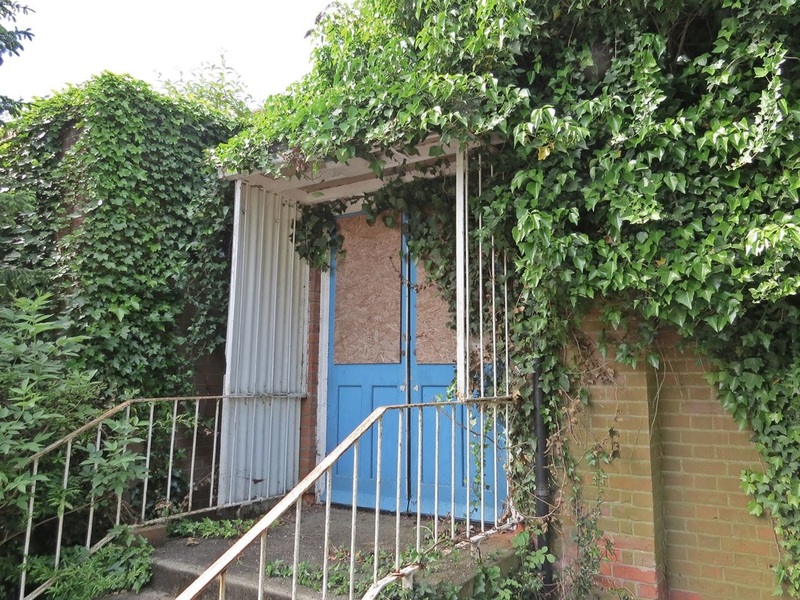 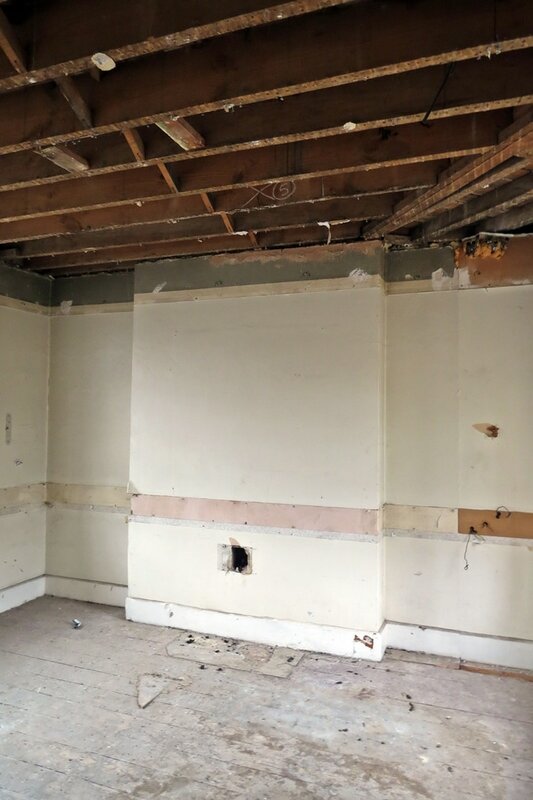 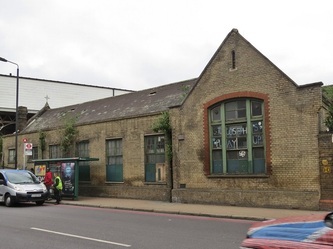 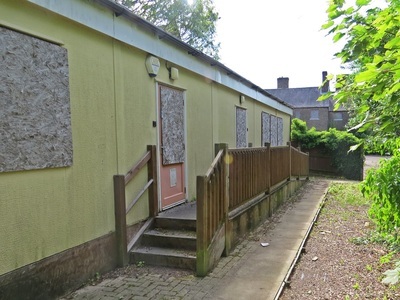 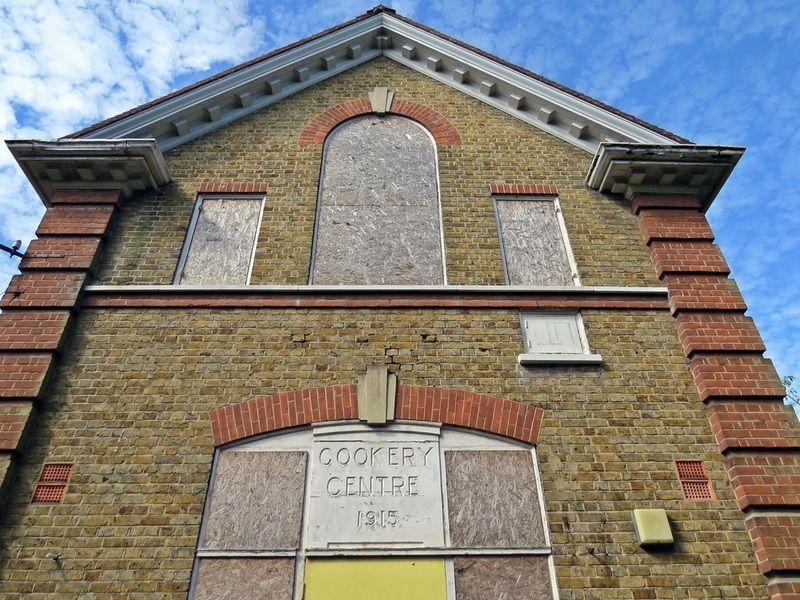 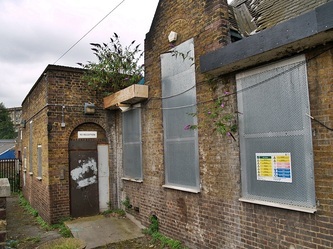 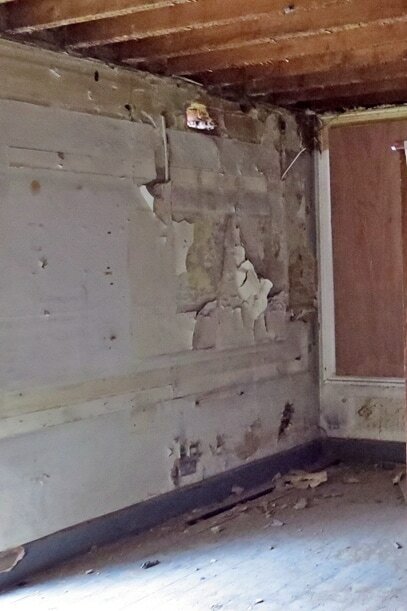 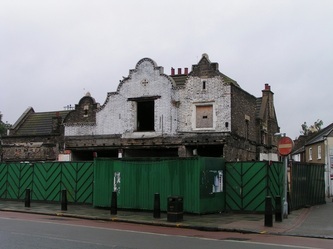 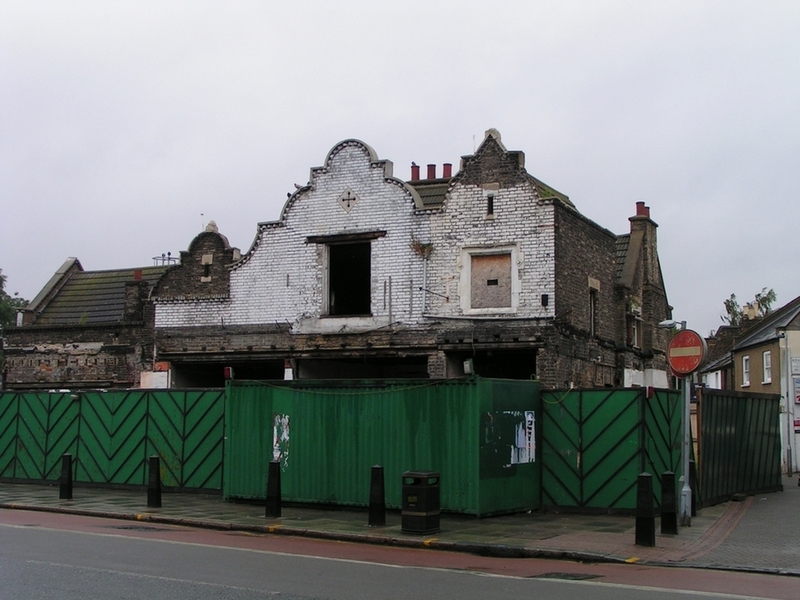 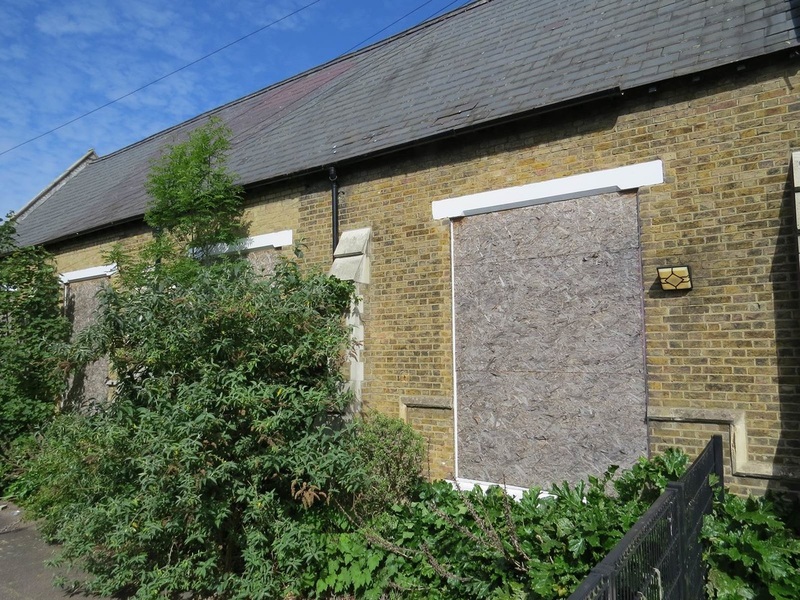 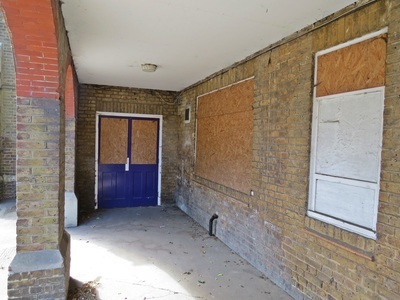 Despite plans over recent years to turn the vacant building into a cafe or a 2 bedroom residence with a side extension there appears to be no progress. 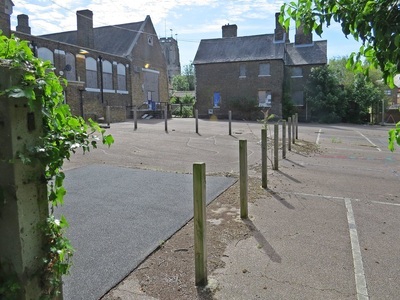 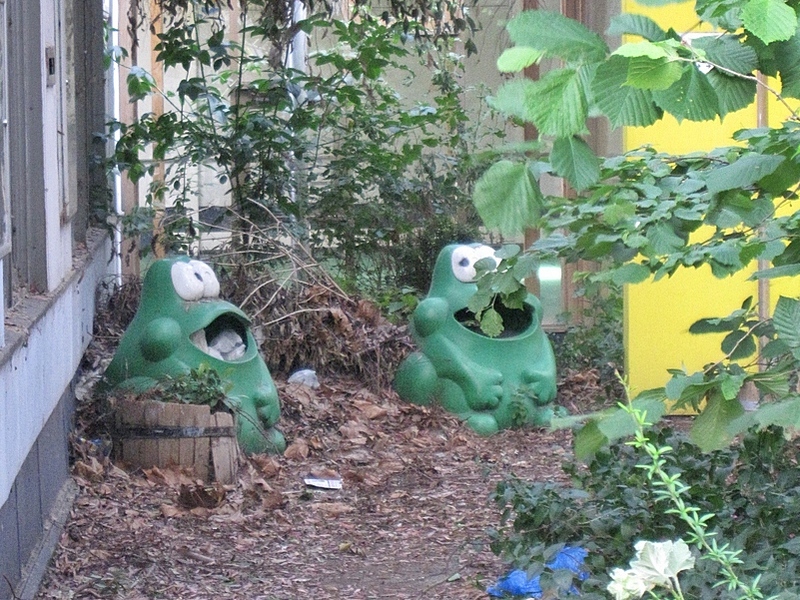 This school closed a few years ago and relocated to a new combined Infant and Junior school. 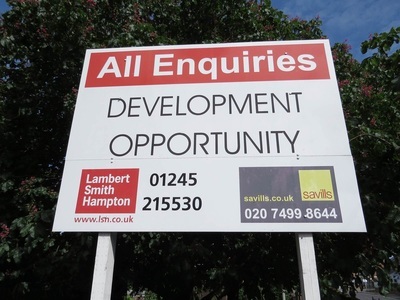 Proposals for the site that totals seven acres (which also includes adjacent land occupies council offices) are described as a major leisure and commercial hub plus homes and new businesses on the site. 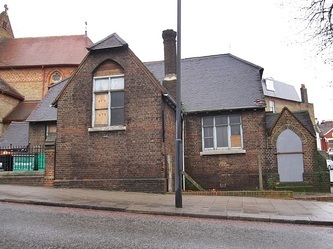 The church of Our Lady of Mount Carmel and St Joseph and this old school building are remnants of a former Catholic enclave which once extended to a presbytery, a convent and three schools. 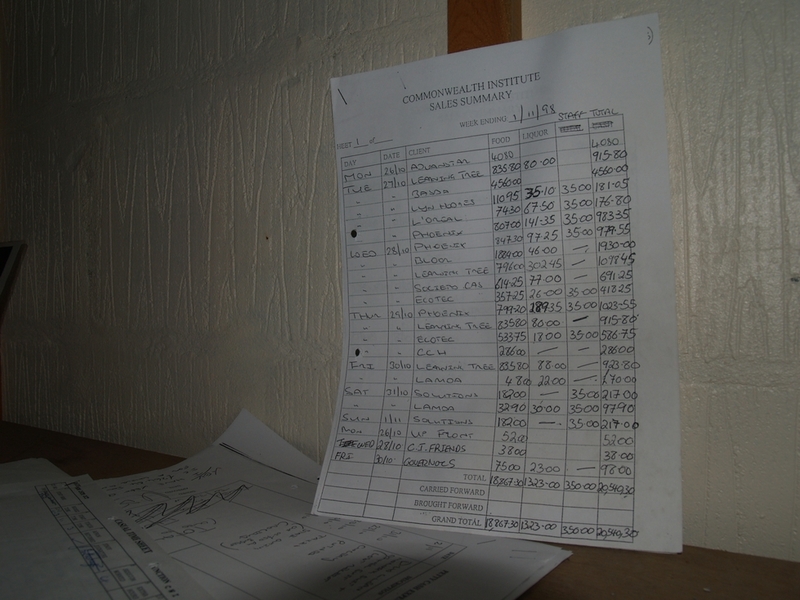 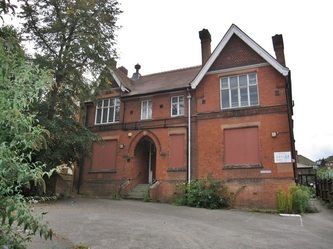 The convent is now offices. 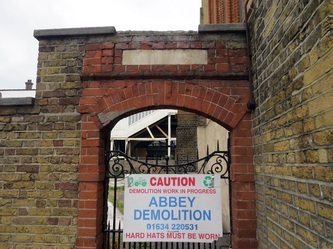 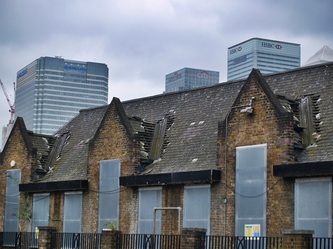 The land was bought for the church in 1868 from the liquidators of the abortive West London Wharves and Warehouses Company. 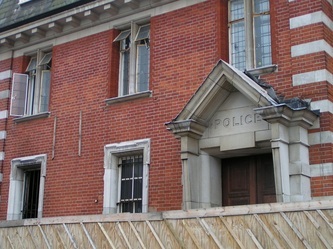 This front originally had small porthole lights only, the present windows being later insertions. 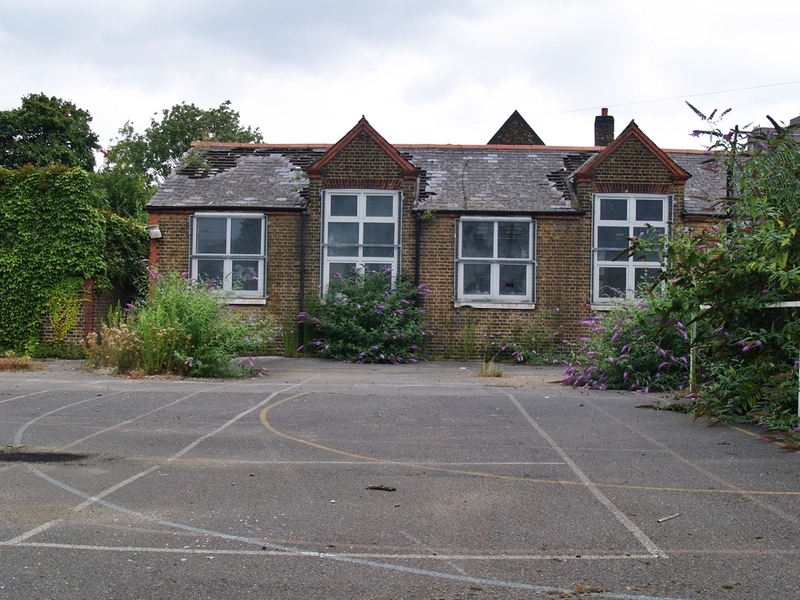 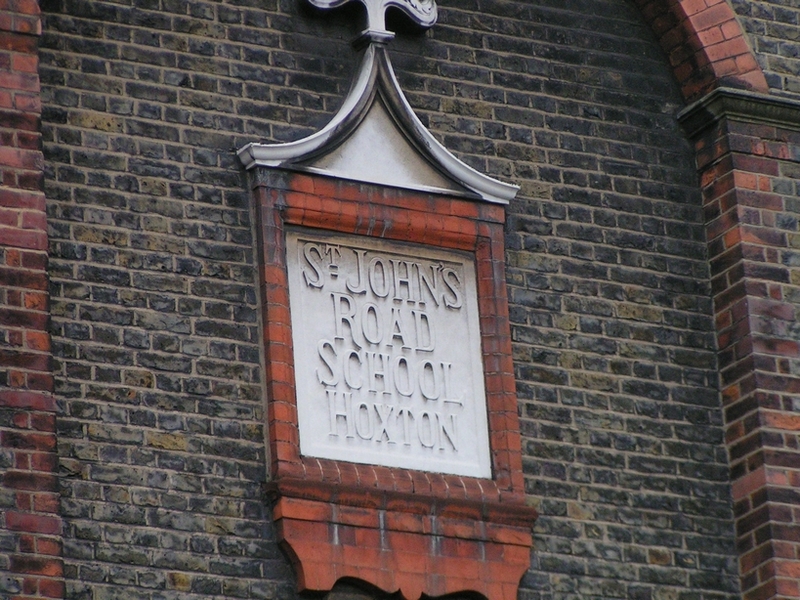 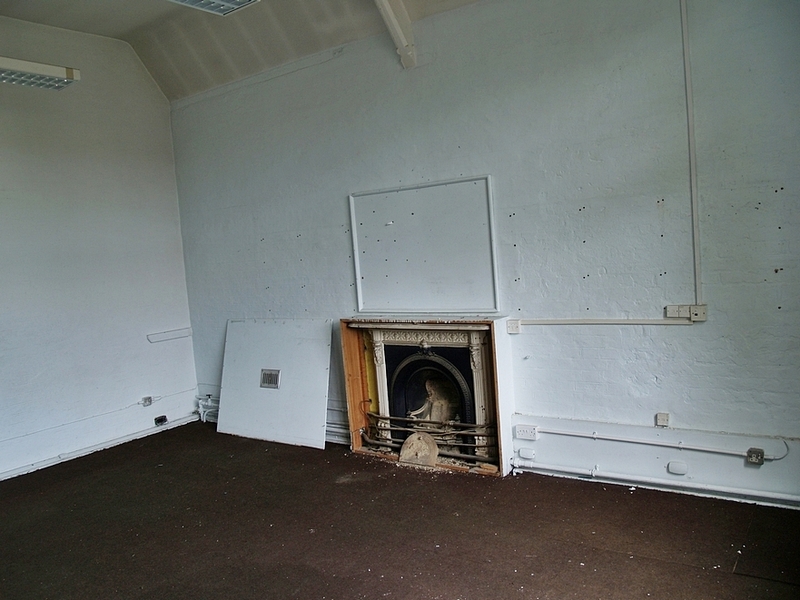 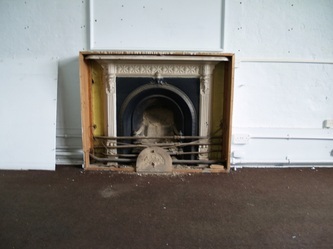 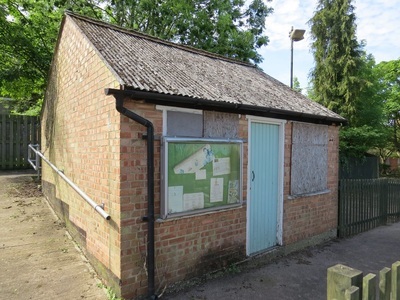 An adjoining classroom was added in 1892 but these appear to have been recently demolished. 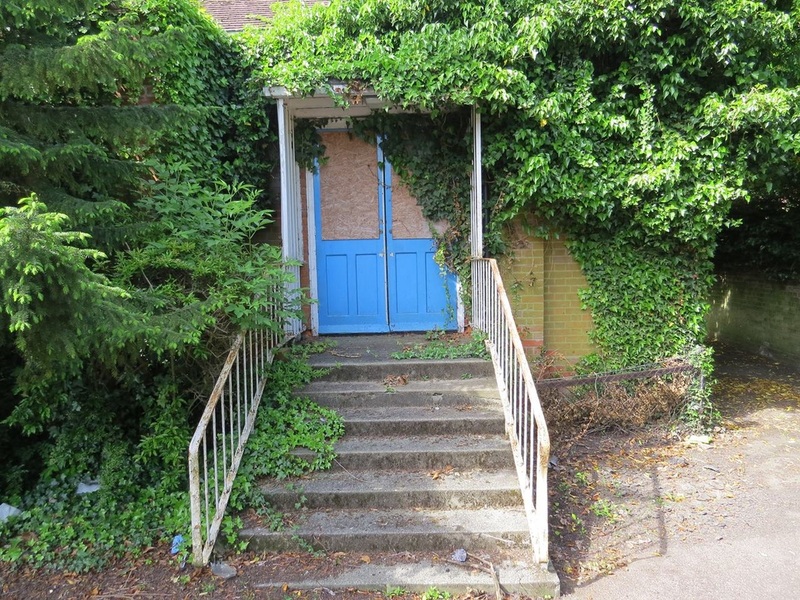 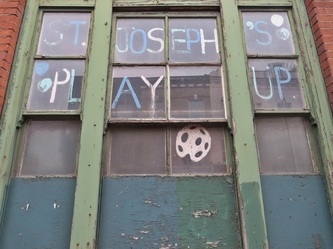 St Joseph's Playgroup were the last to use this building which currently lays derelict with its fate unknown. 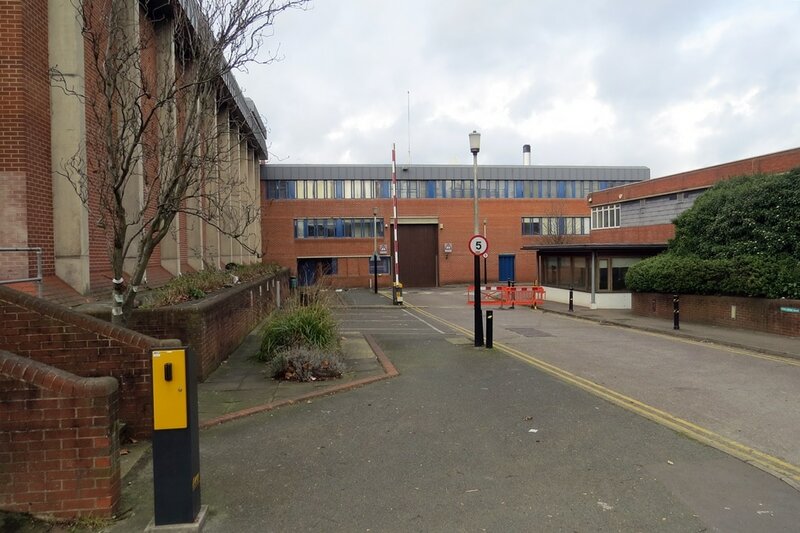 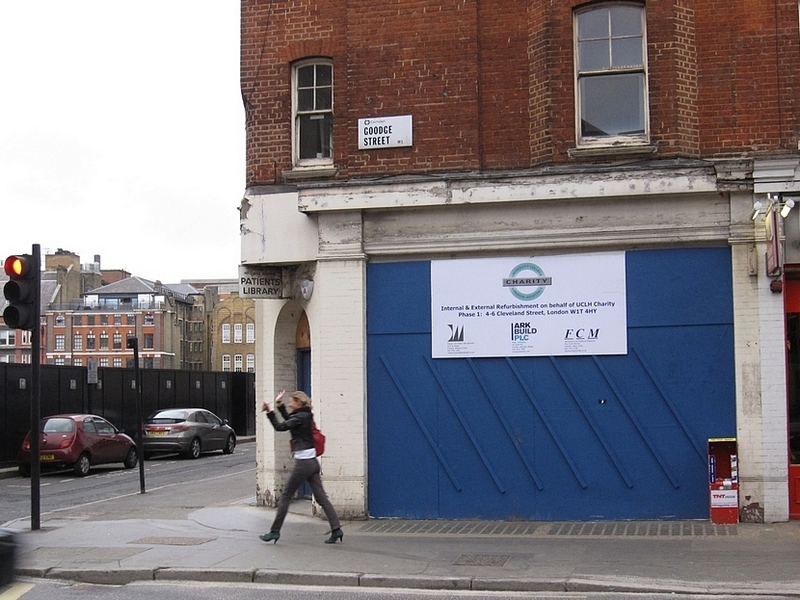 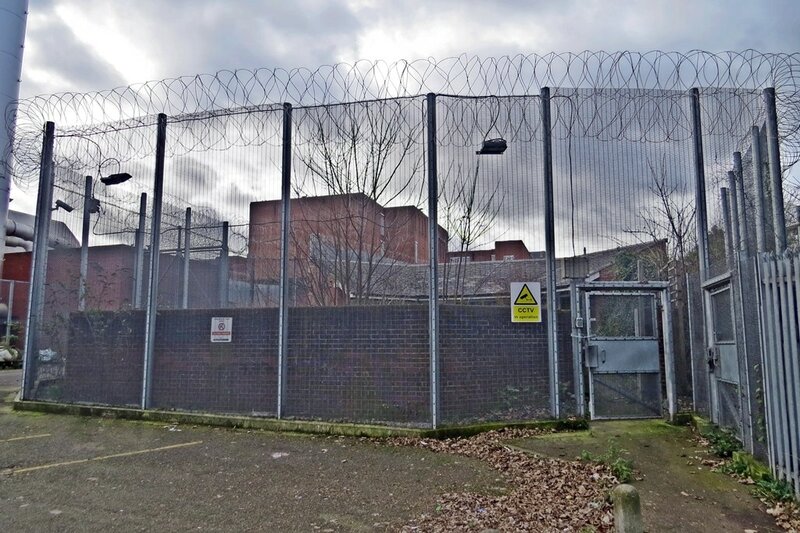 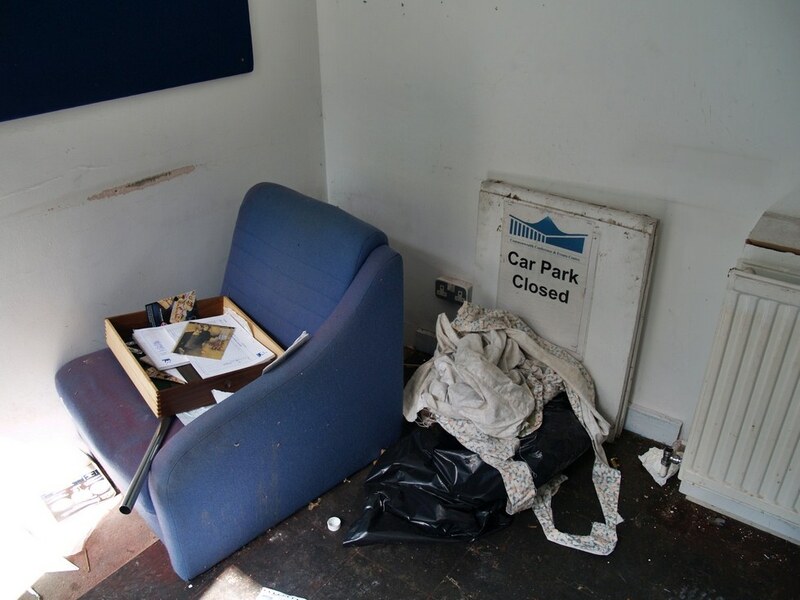 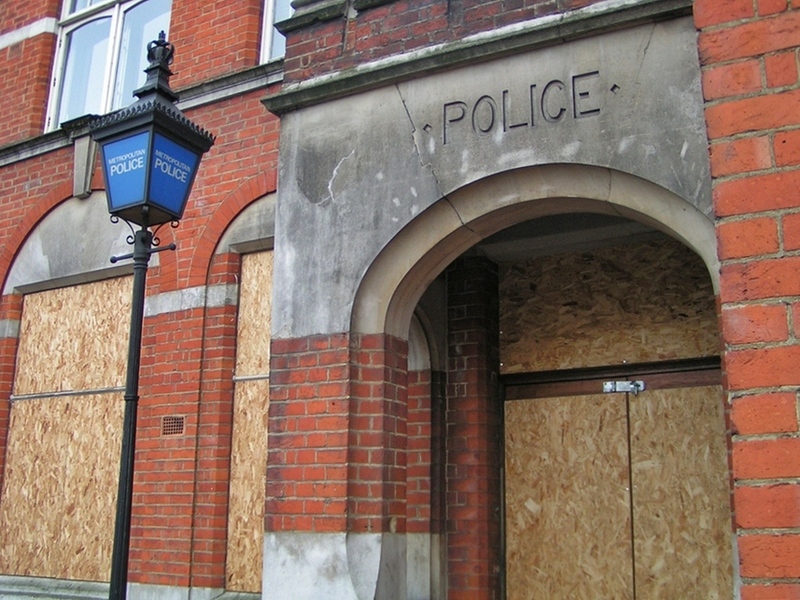 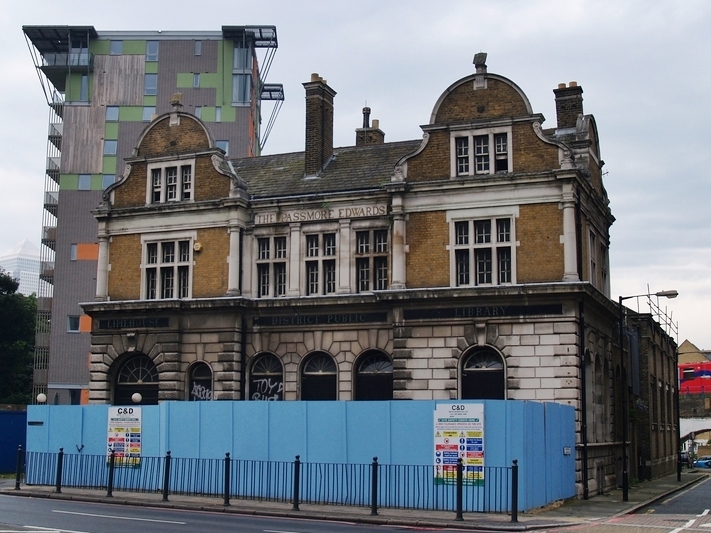 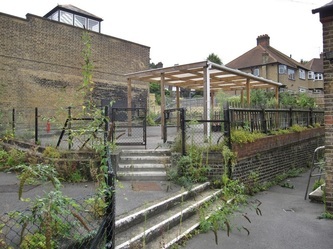 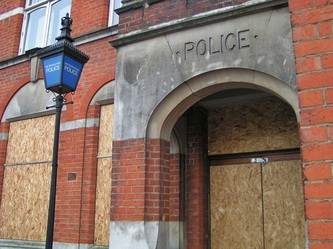 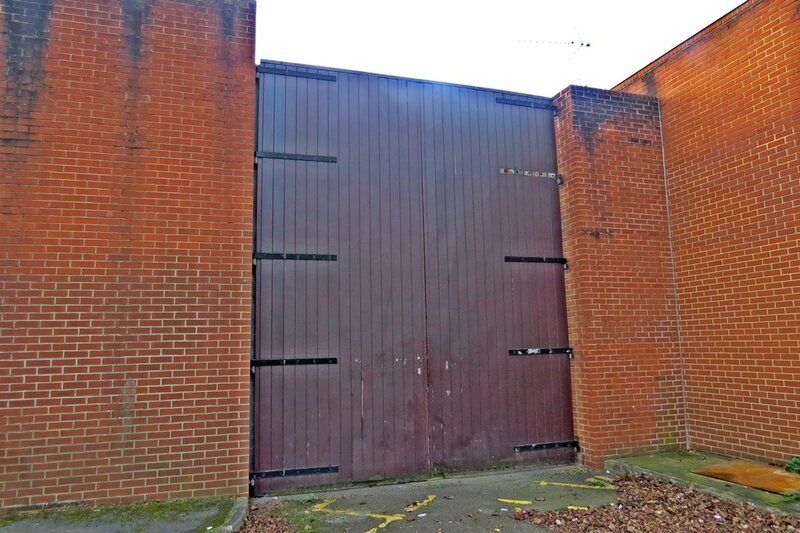 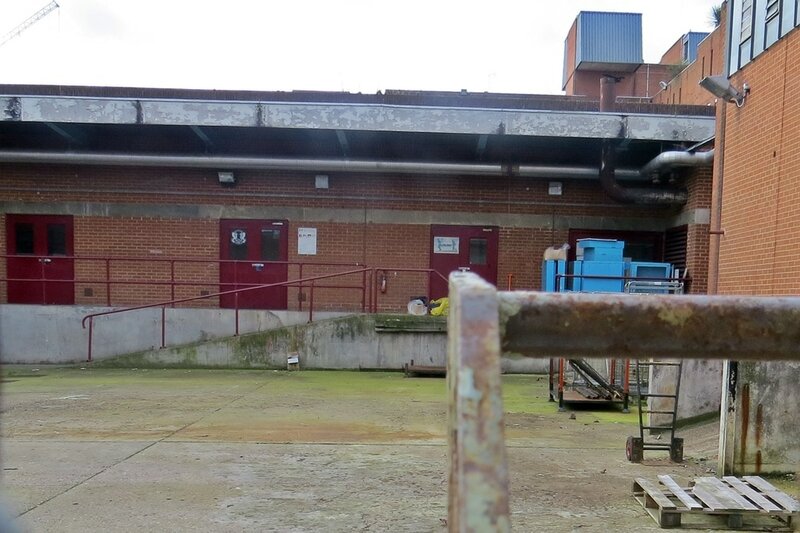 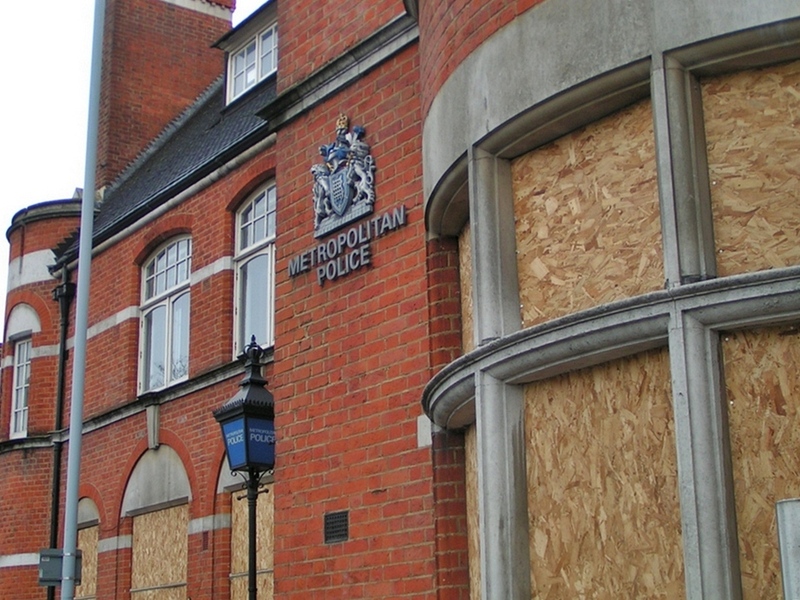 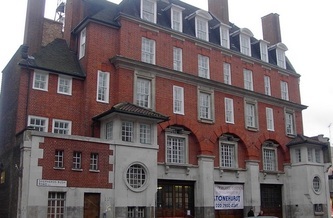 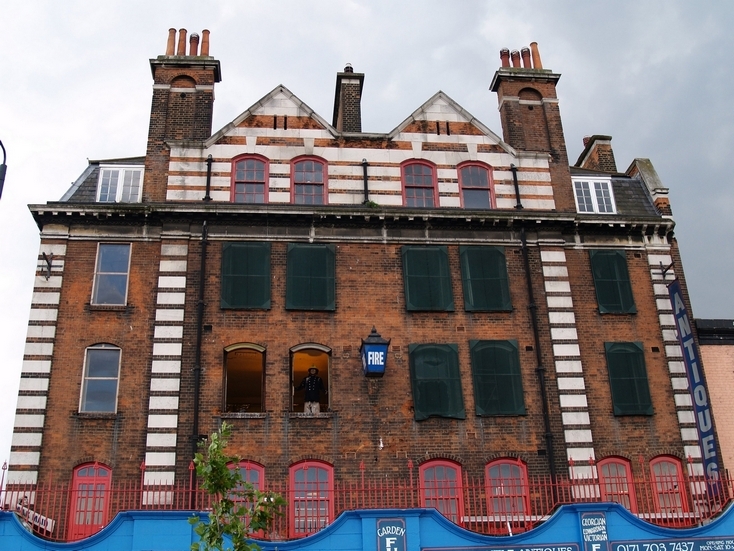 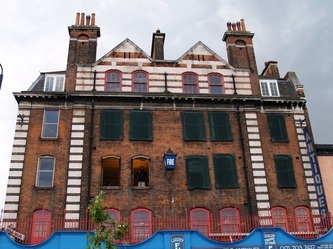 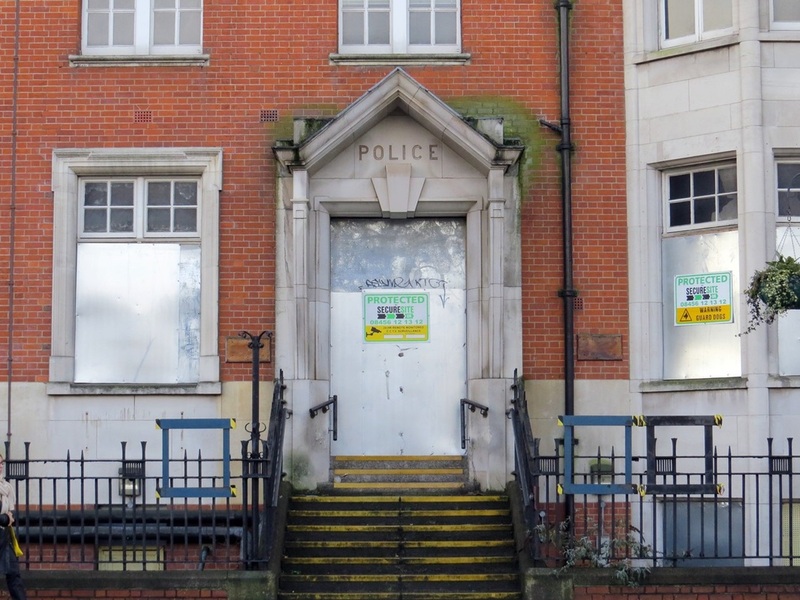 This police station closed in 2013 as part of Mayor Boris Johnson's plans to close 63 police stations across London. 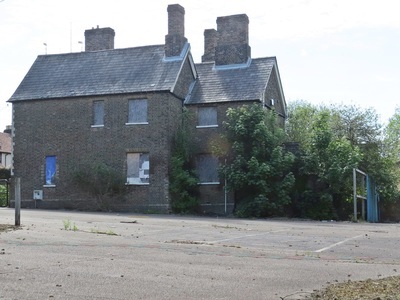 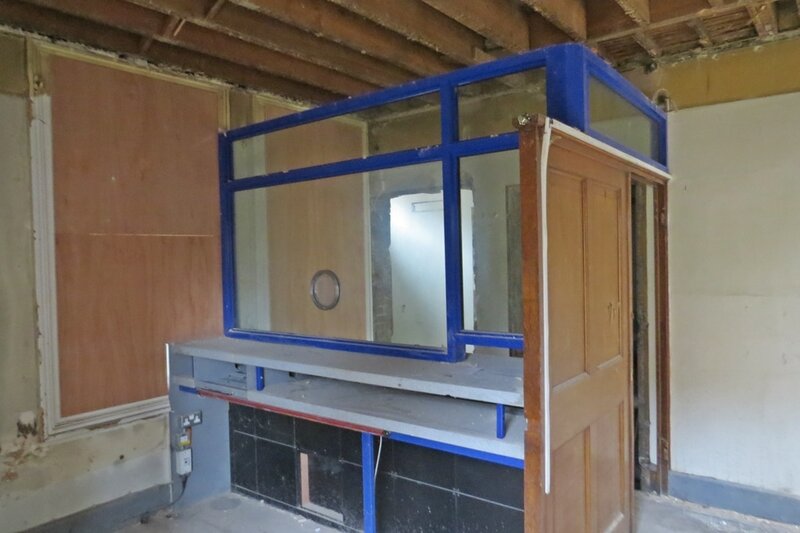 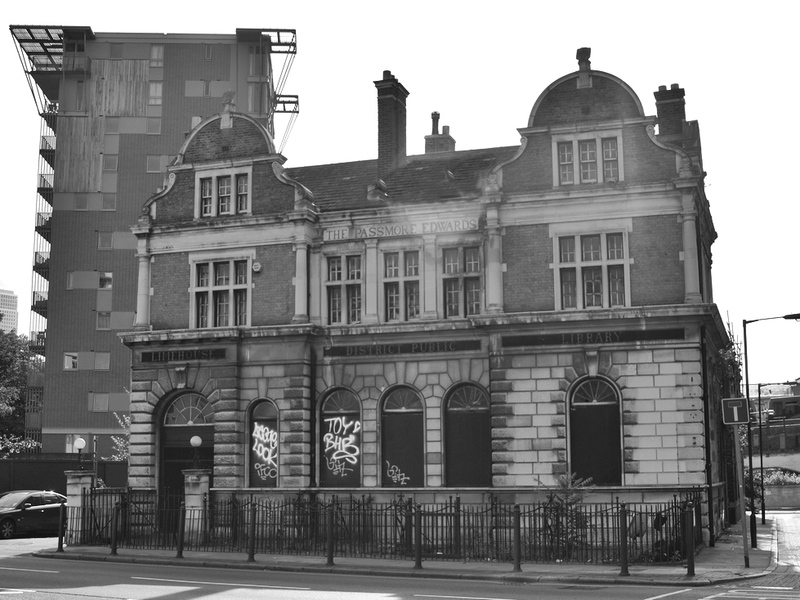 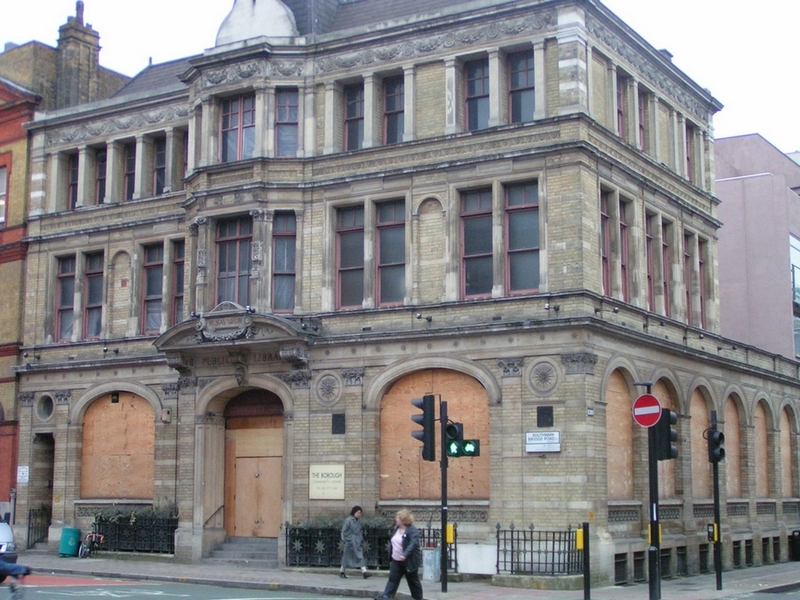 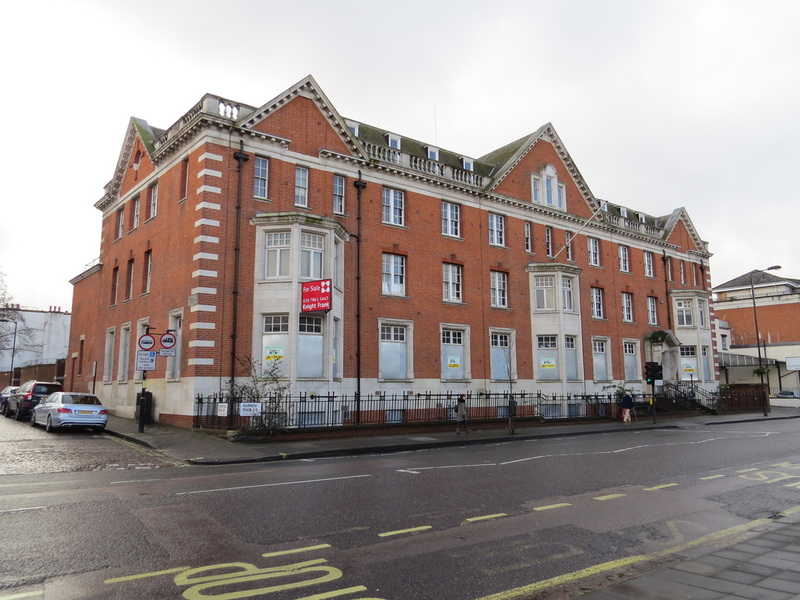 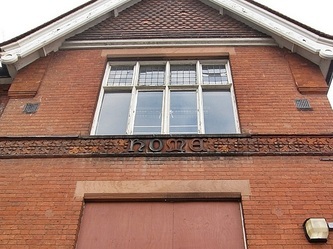 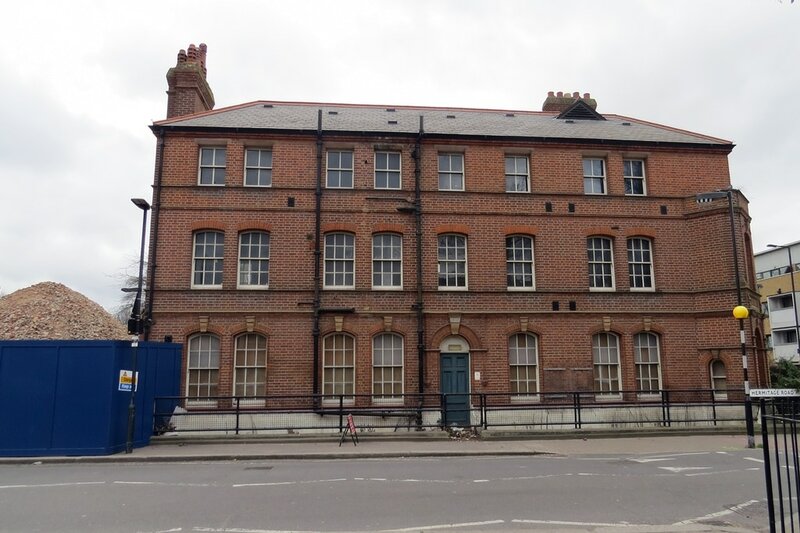 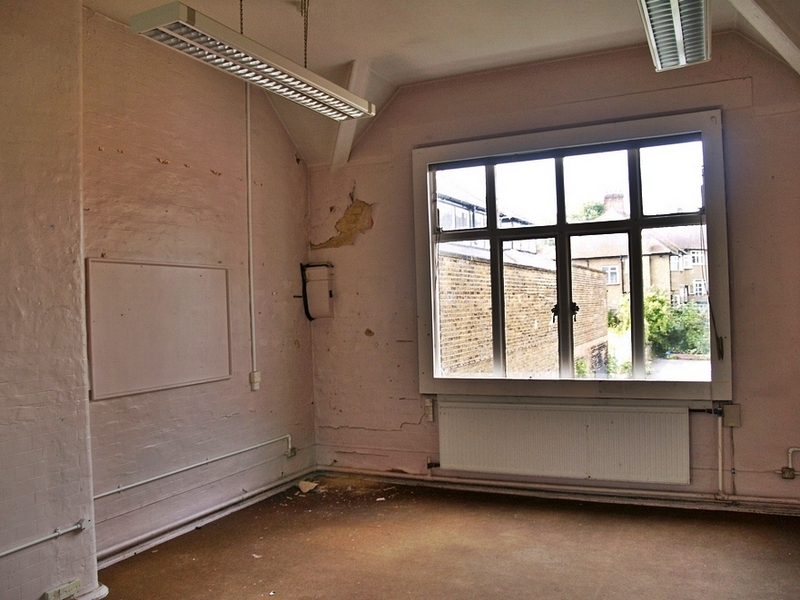 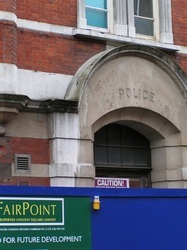 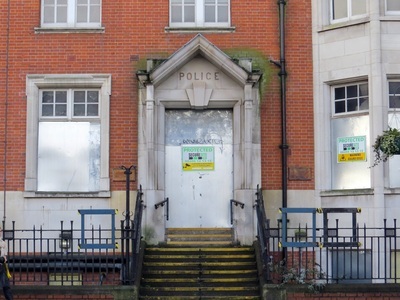 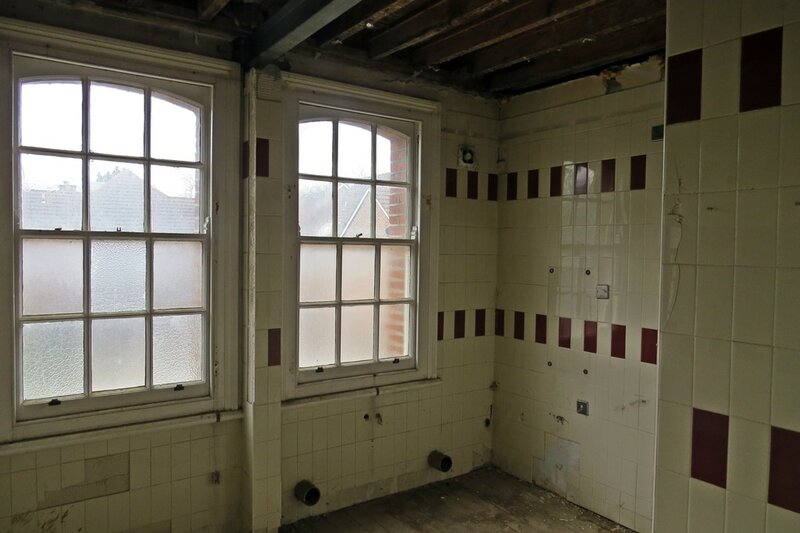 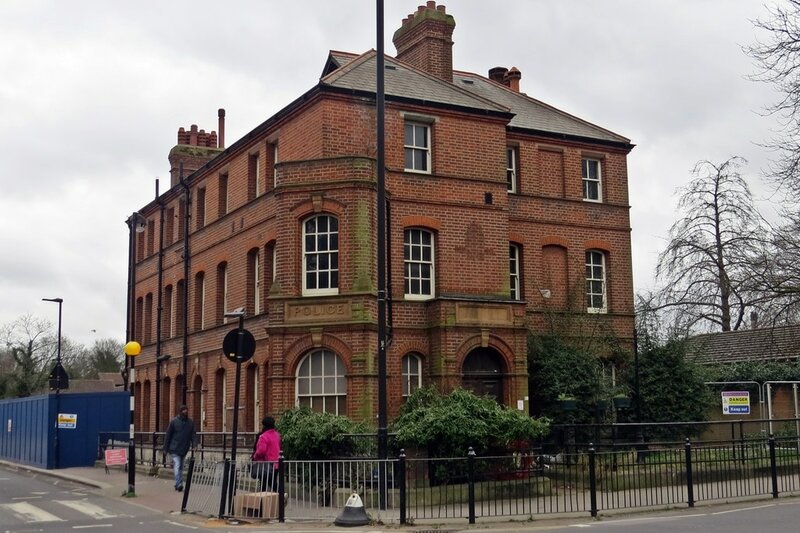 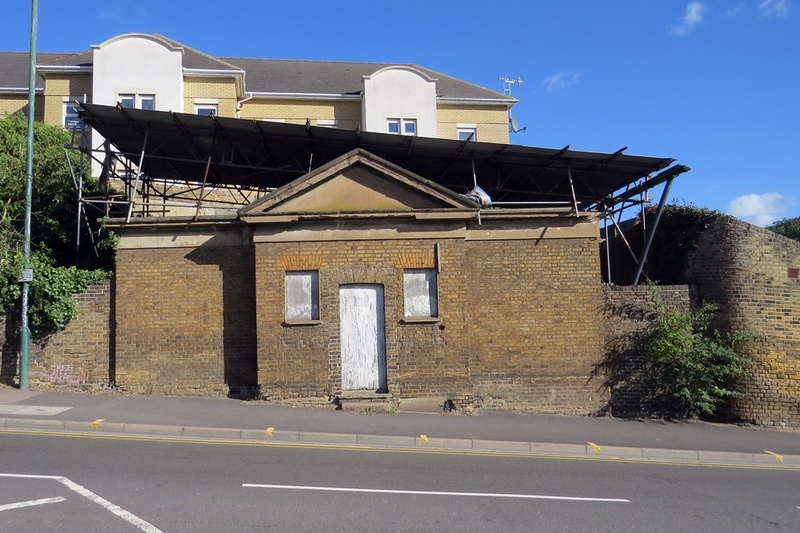 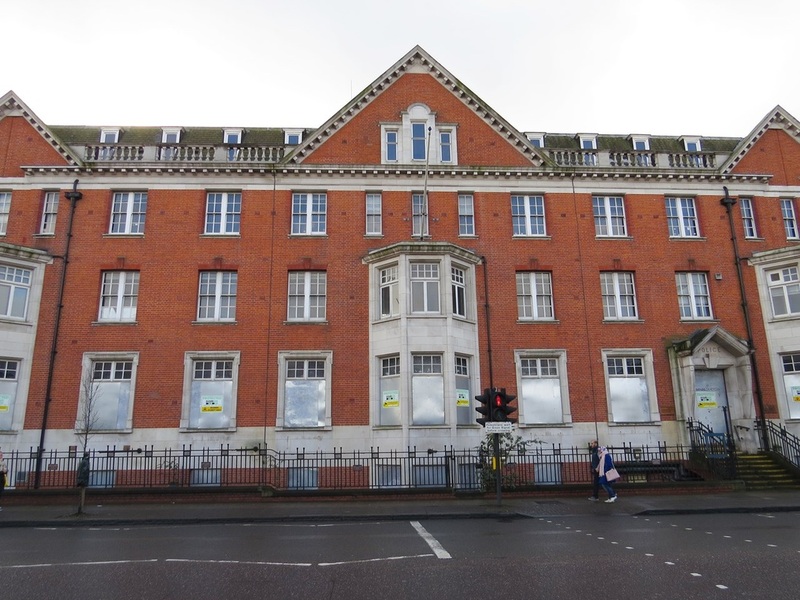 The former Harrow Road Police Station building is about to be converted into flats. It was here that the manager of the Manic Street Preachers reported Richey Edwards missing in 1995. 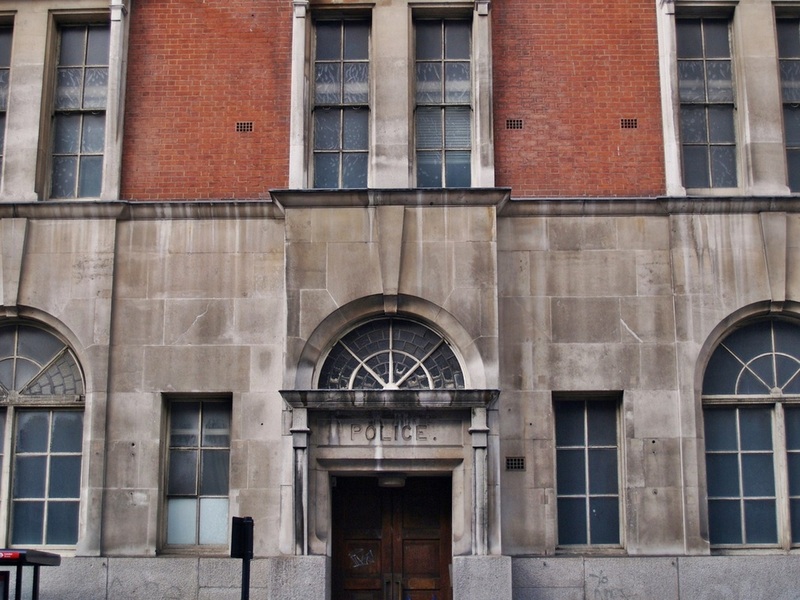 A random fact for you is that musician and producer Brian Eno once lived opposite this police station. 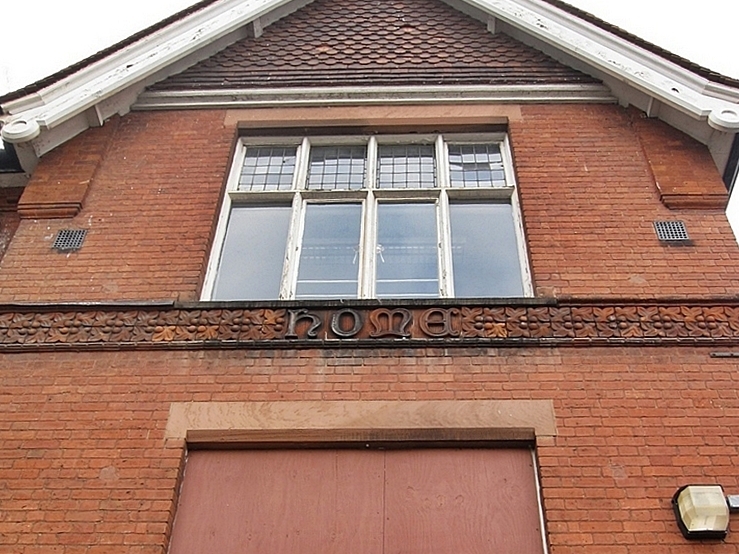 Louise House is a rare survivor of a purpose built industrial home. 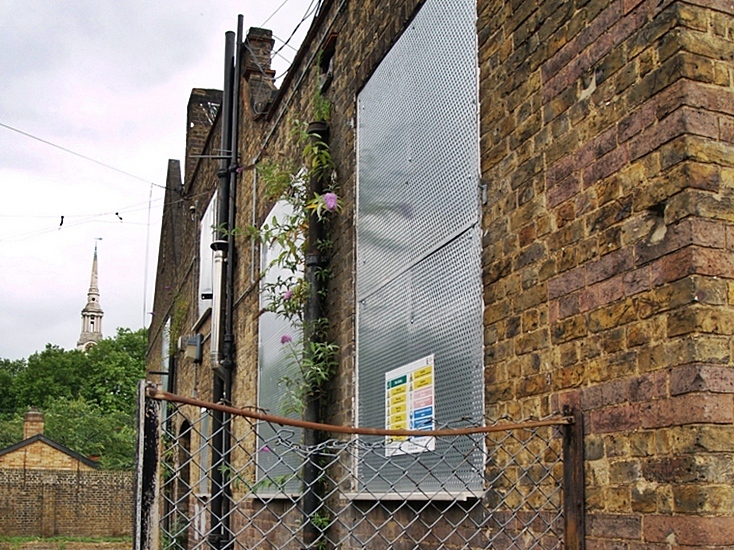 Industrial Homes developed from the Ragged School movement of the mid-19th century. 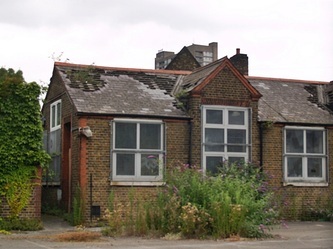 These schools sought to give children a basic education and sufficient training to earn an honest living & it was believed that some children would only prosper if they were removed from the corrupting influence of their home environment. 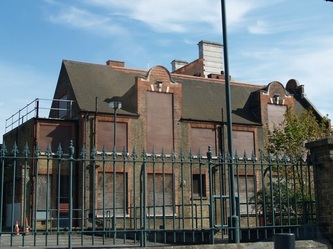 The industrial home provided that refuge. 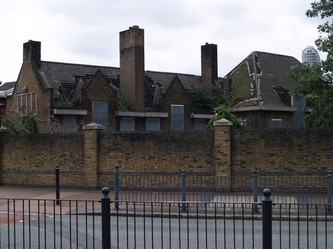 Local benefactors of the Forest Hill industrial homes (the boys one down the road was demolished in 2000) included FJ Horniman (he of the Horniman Museum) & members of the Tetley family. 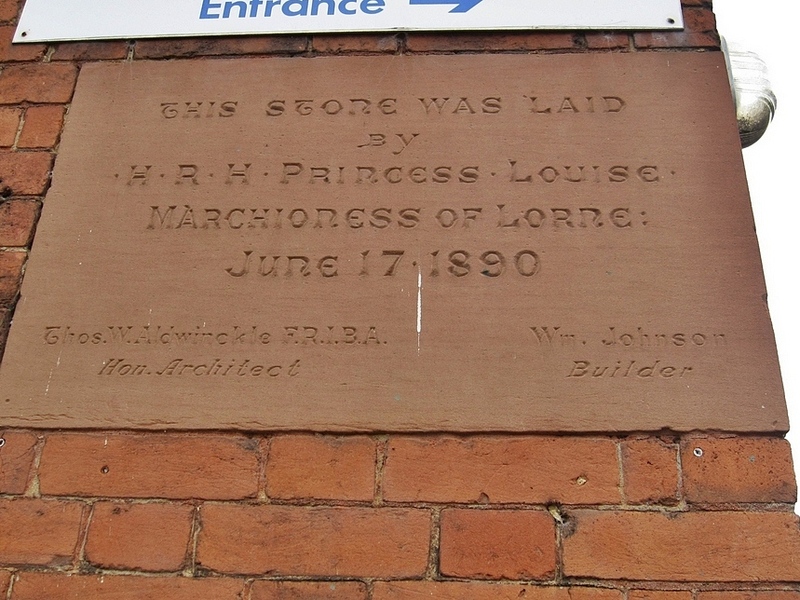 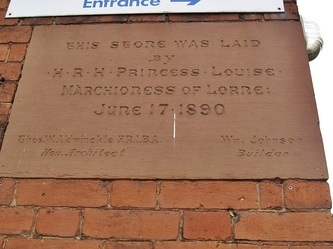 Princess Louise who opened the buidling in 1890 continued to keep an interest in the building that bore her name. 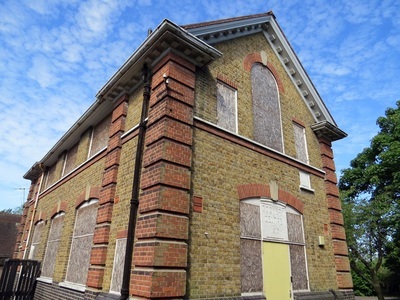 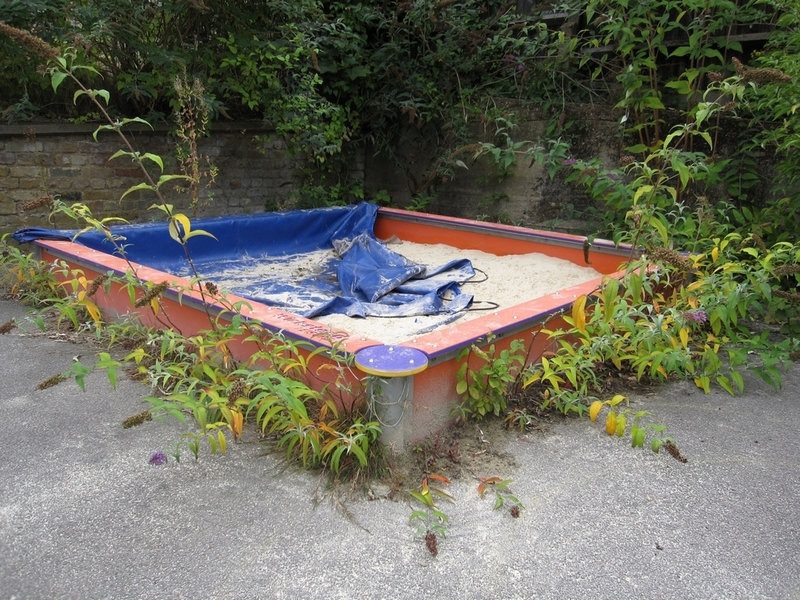 Thomas Aldwinckle was the principal architect of both Louise House & the adjacent Forest Hill Pool (also derelict - see the Pools page) . 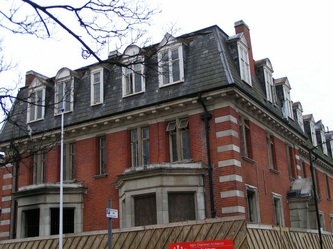 Janusz Korczak, a Polish Jew wrote that he was inspired by a visit to Louise House in 1911 to found a similar institution in Poland. He became an active campaigner for children's rights which culminated in the Declaration of the Rights of the Child, later adopted by the United Nations. In 1942 Korczak, 12 members of his staff and 192 children at his orphanage were rounded up by the Nazis & transported to an extermination camp; that is the last that was heard of them. 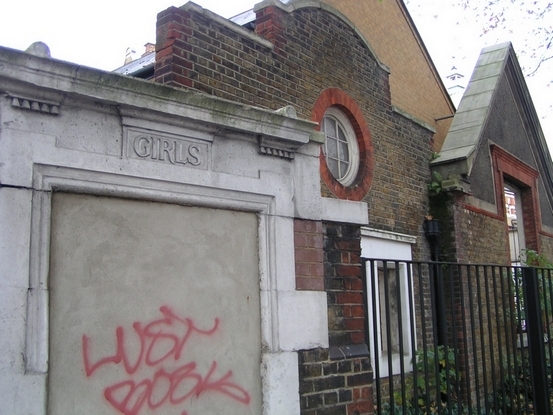 Louise House remained a girls' home (the word 'Industrial' was removed in about 1930) until the mid-1930s. 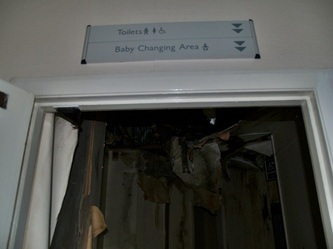 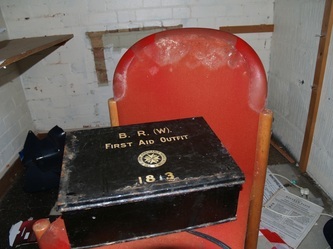 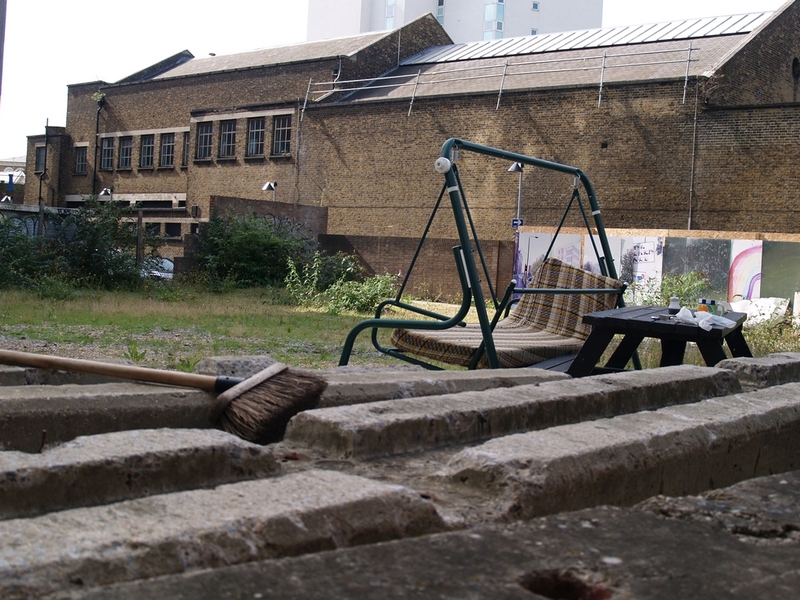 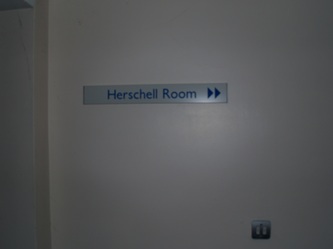 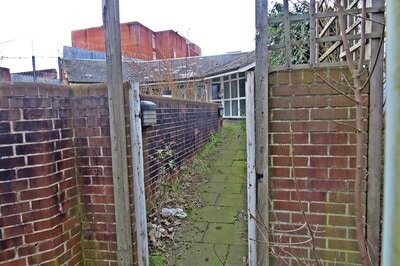 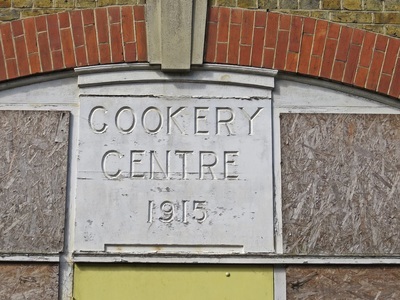 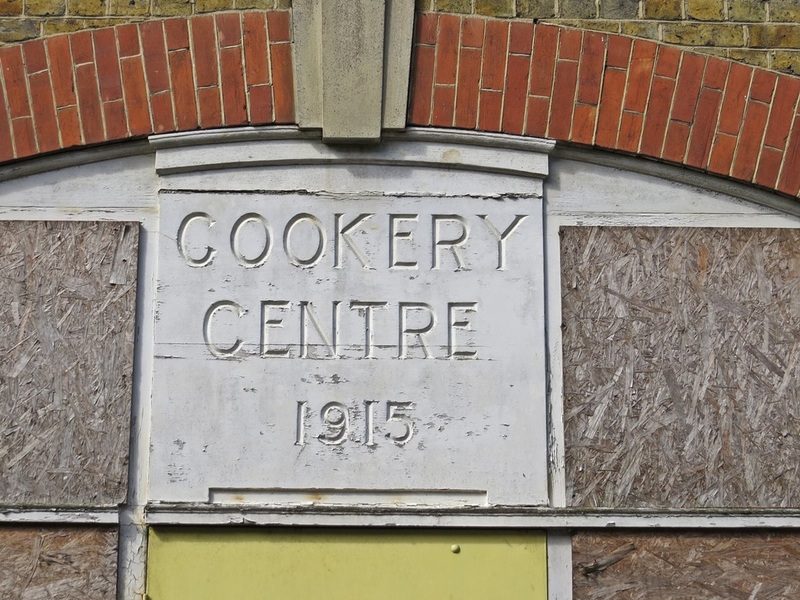 By 1939 it was occupied by Air Raid Precautions and after the war it became a child welfare centre. 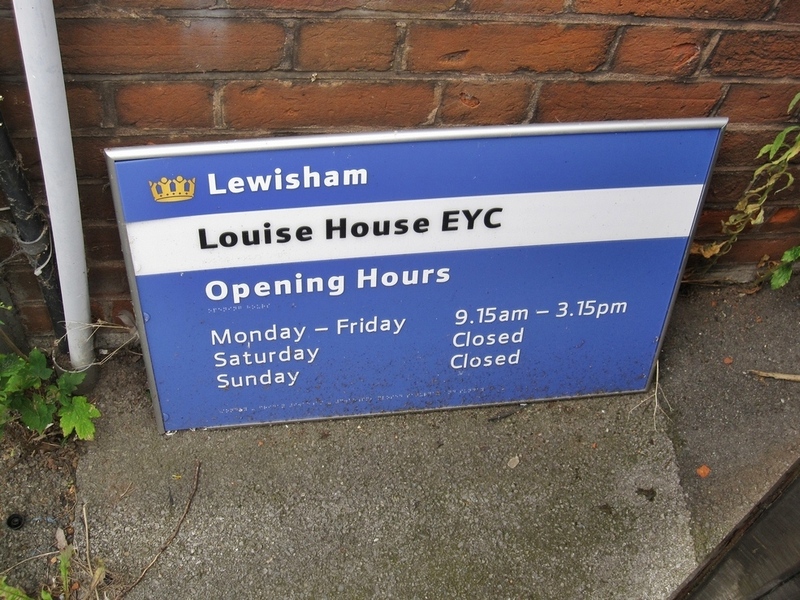 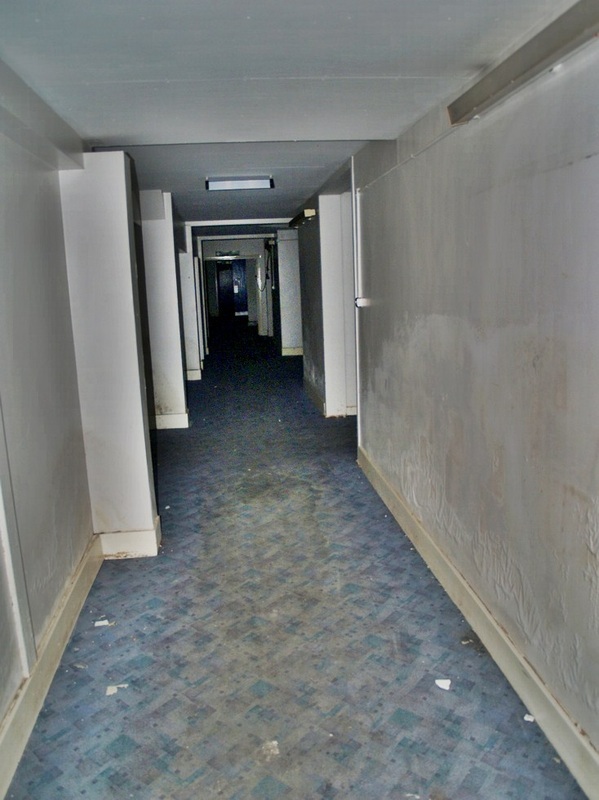 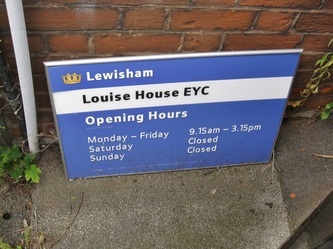 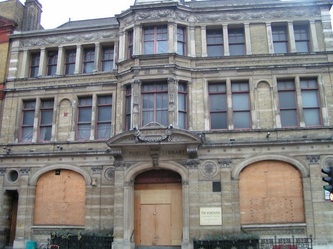 Louise House was closed and boarded-up in 2005. 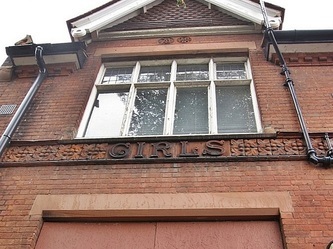 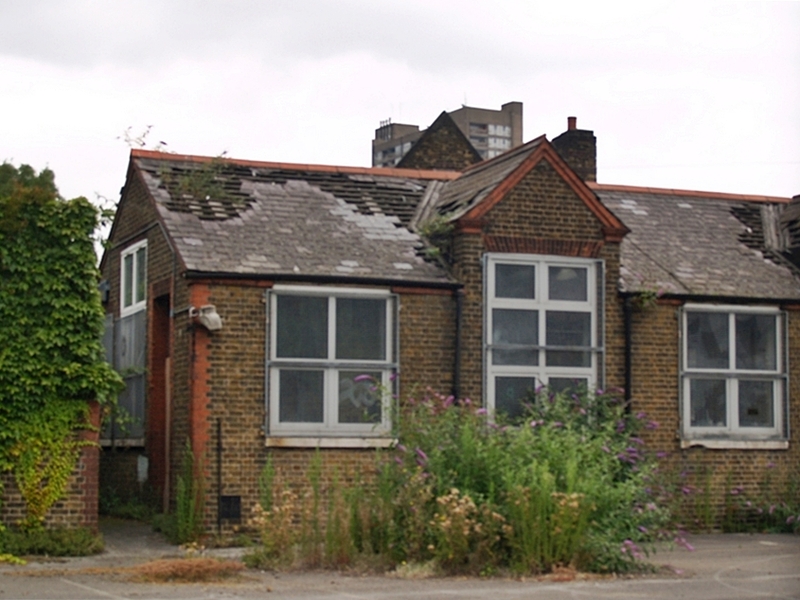 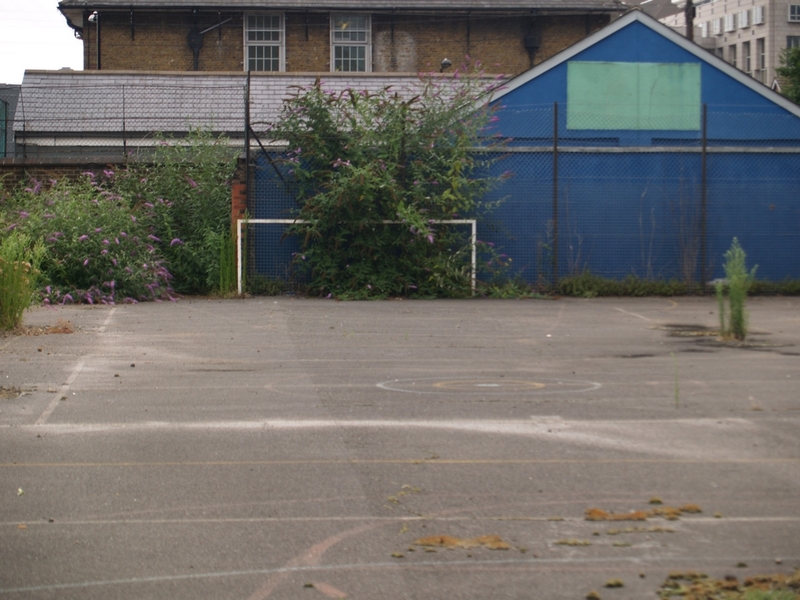 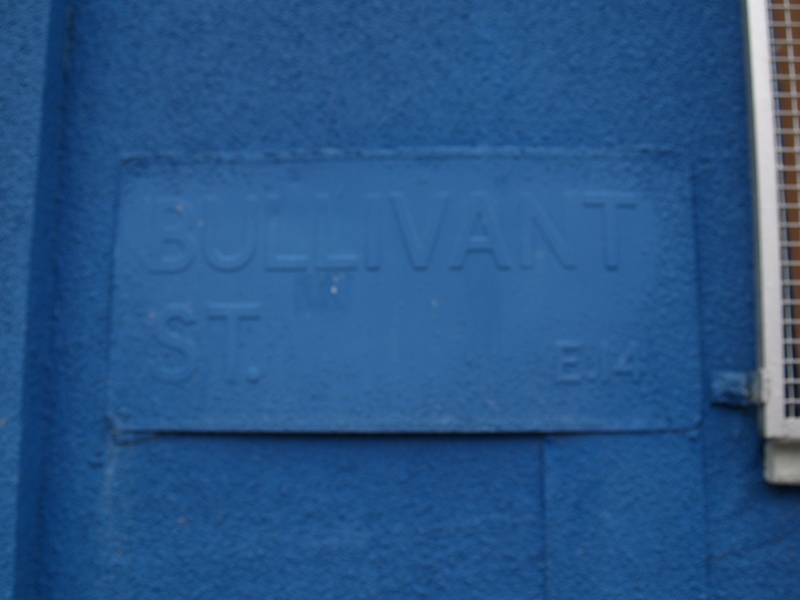 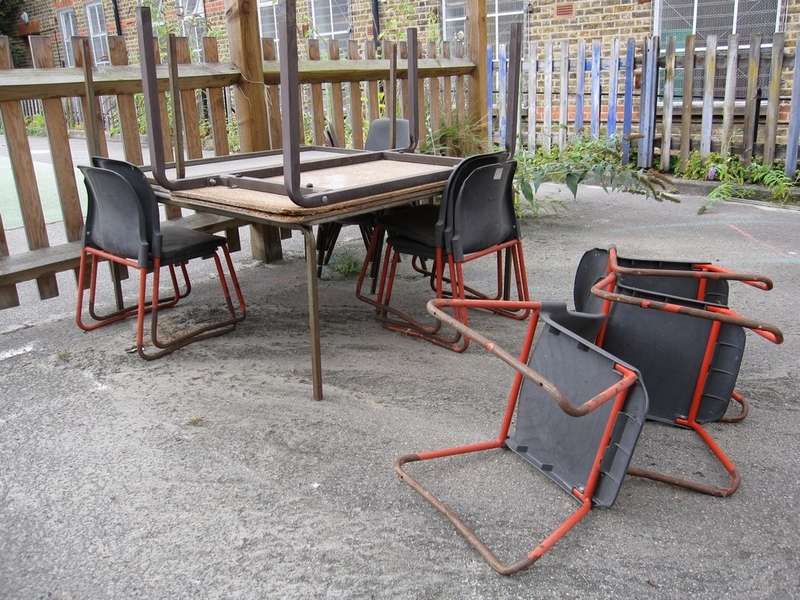 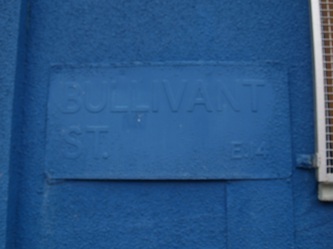 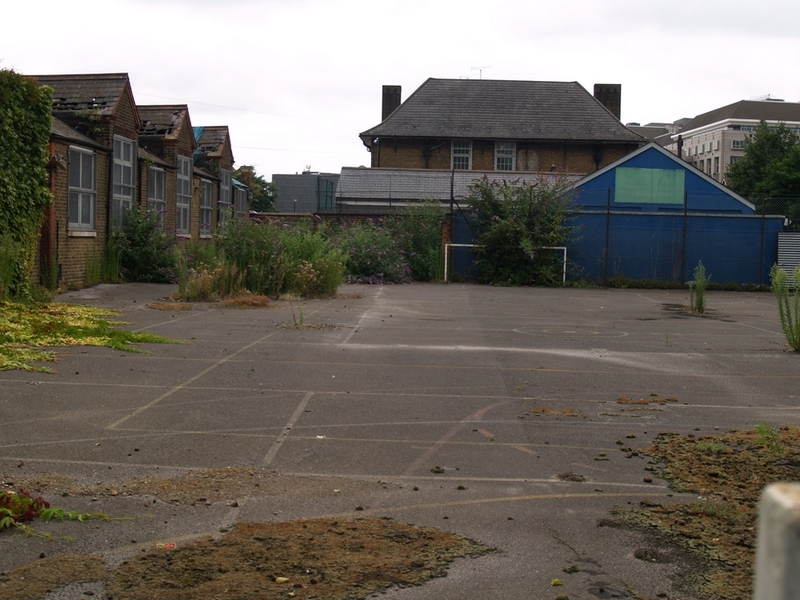 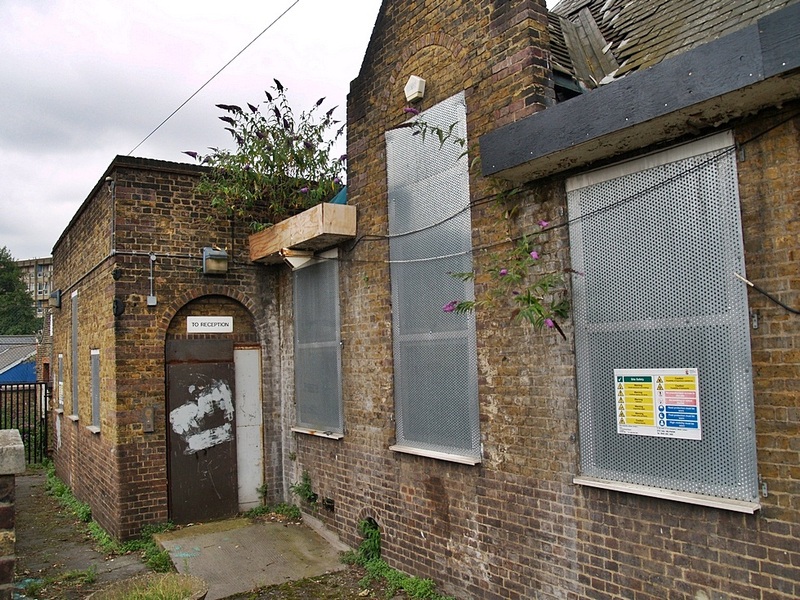 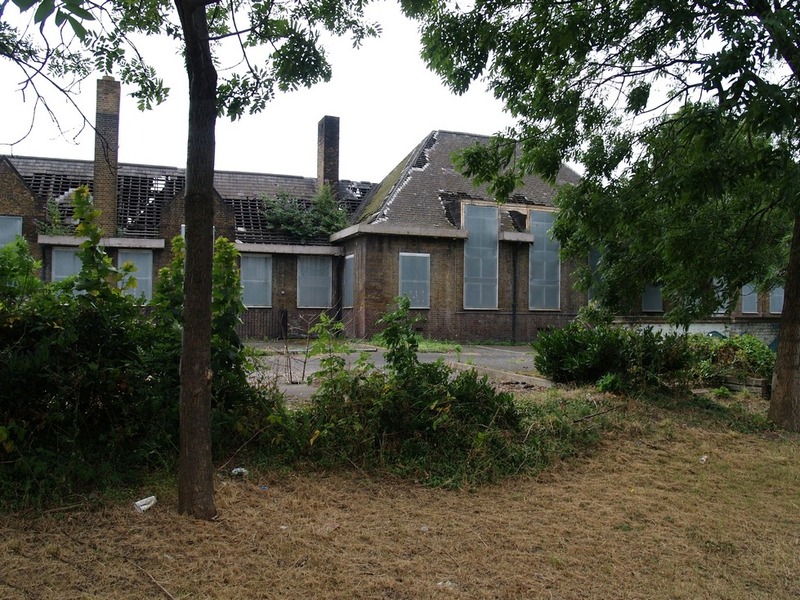 This school in Bullivant St, Poplar has been vacant for many years. 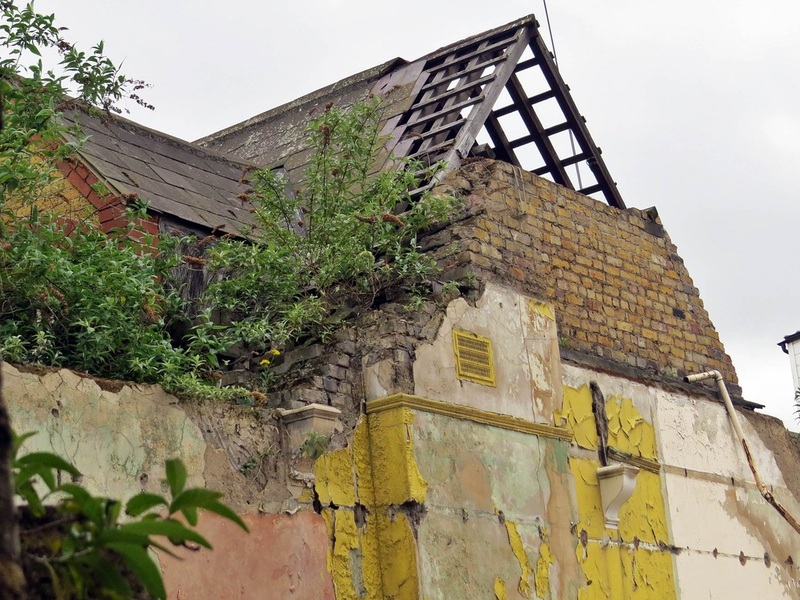 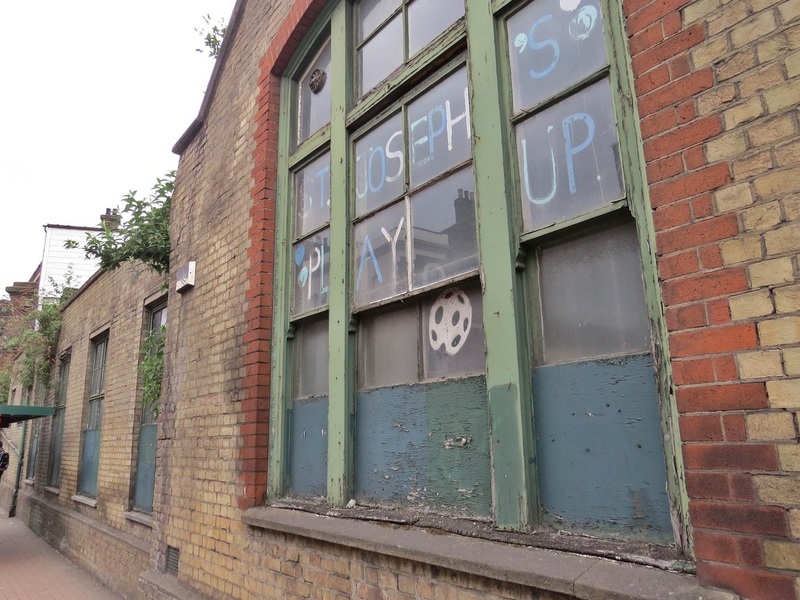 It was squatted by a number of people who follow the Derelict London Facebook page though they were evicted 3 years ago and the place has deteriorated ever since. 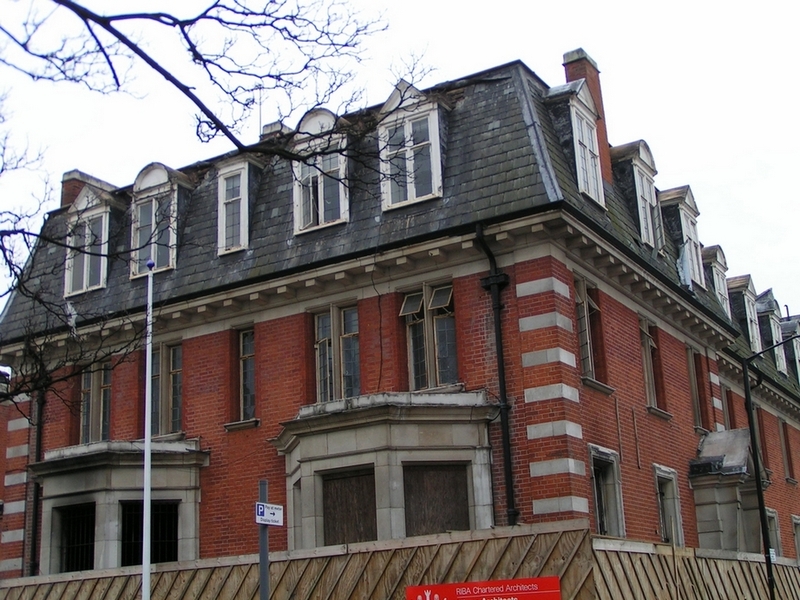 Built 1903-8 to the design of John Dixon Butler in an Edwardian Baroque style. 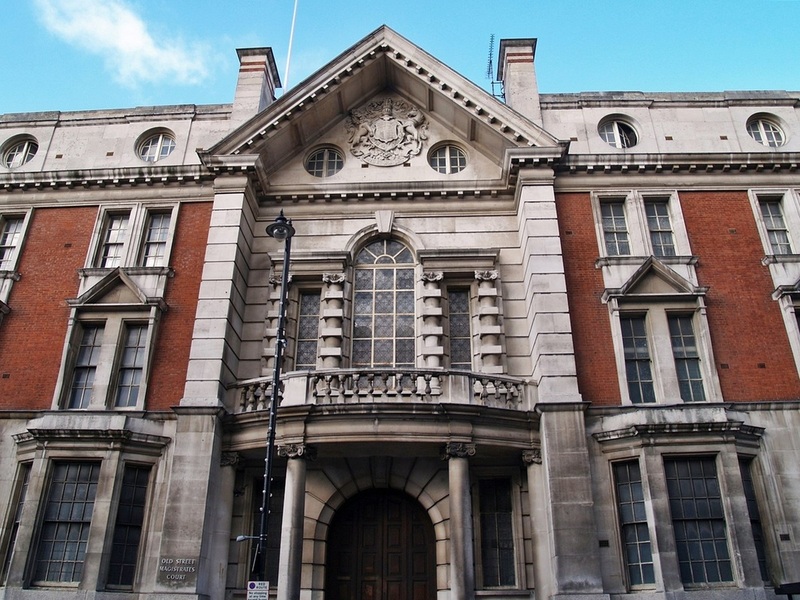 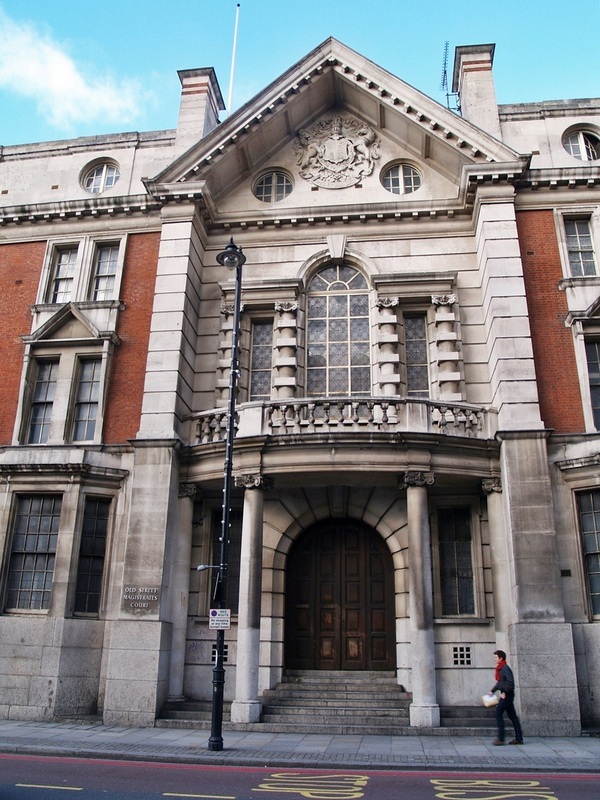 One of the finest Edwardian civic buildings in London according to English Heritage. Planning permission and listed building consent granted in 2008 for conversion to a hotel but work not yet started on site. 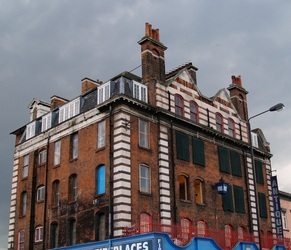 I bet this building could tell a few stories. 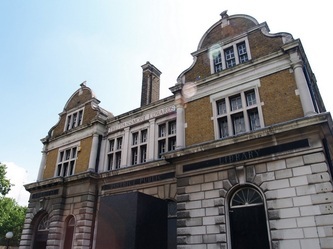 For starters I heard that Joe Orton and Kenneth Halliwell were there, charged with stealing books from Islington library & the Krays were charged here in 1965 for demanding money with menaces. 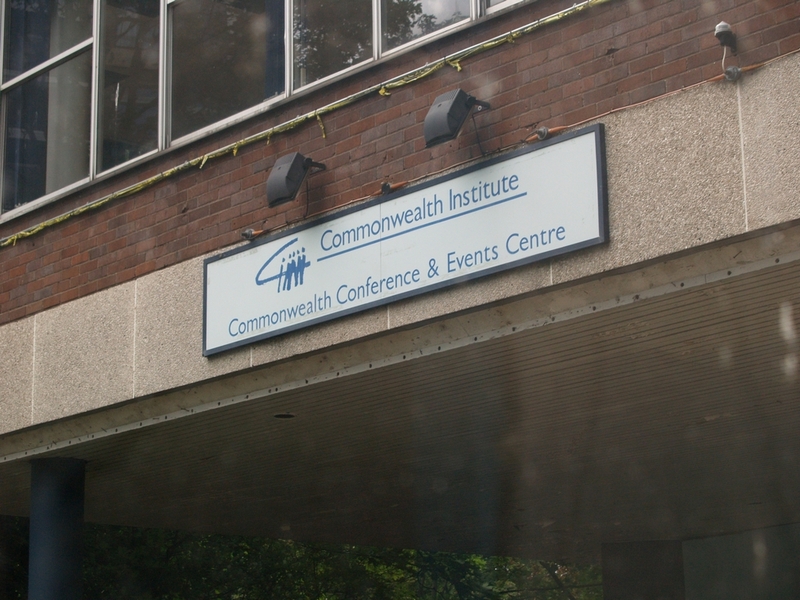 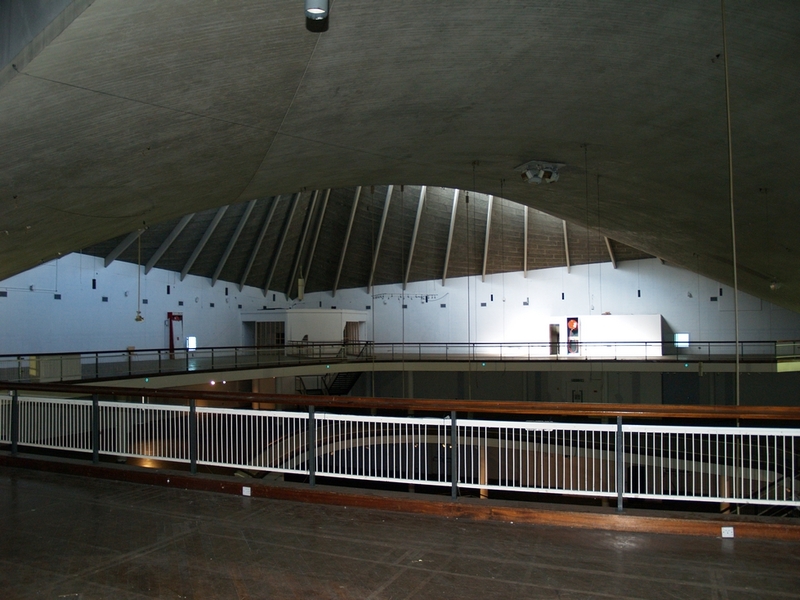 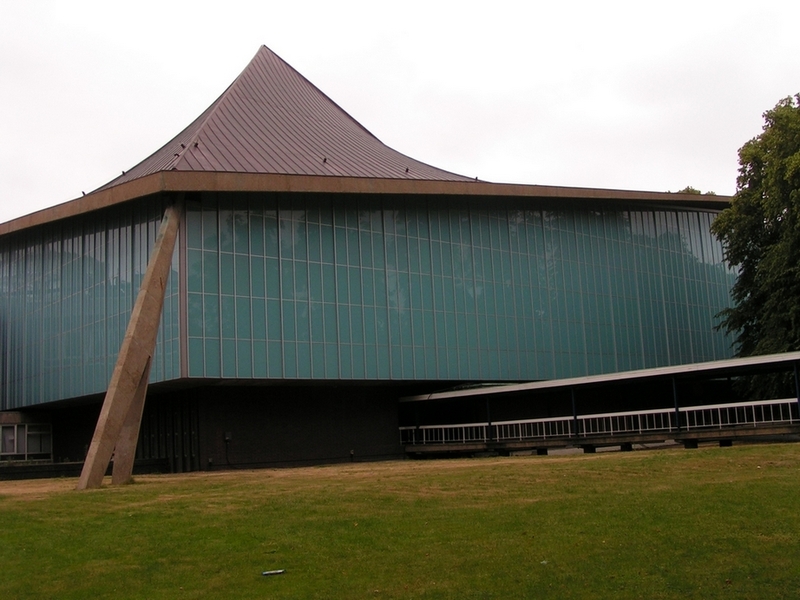 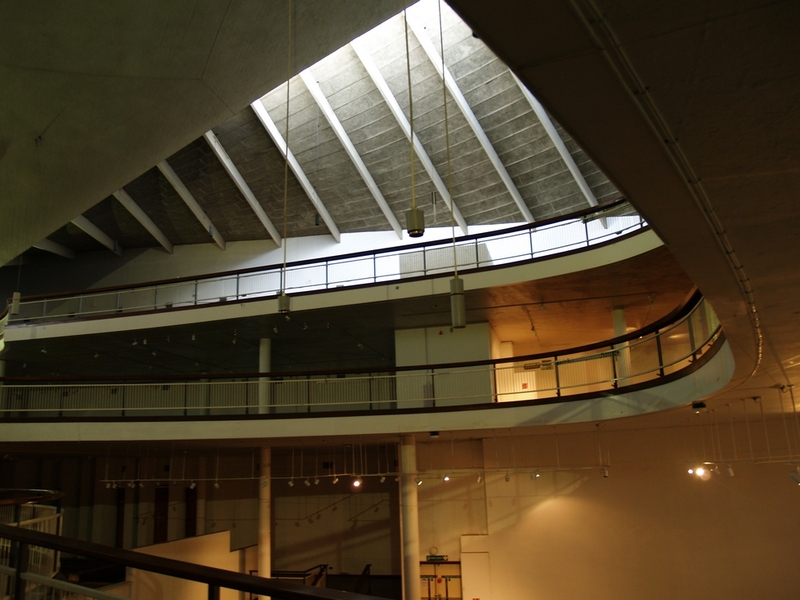 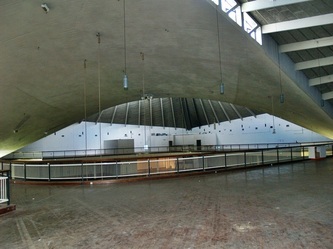 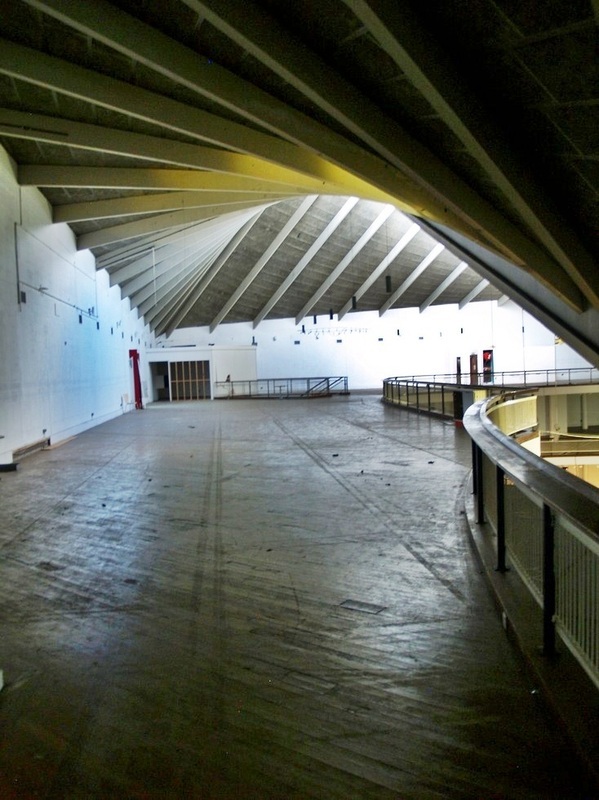 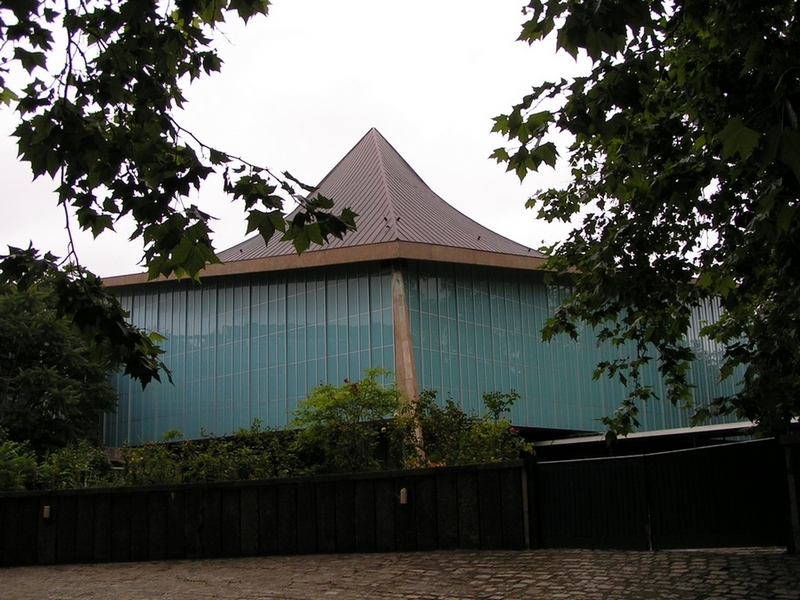 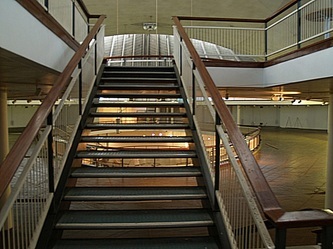 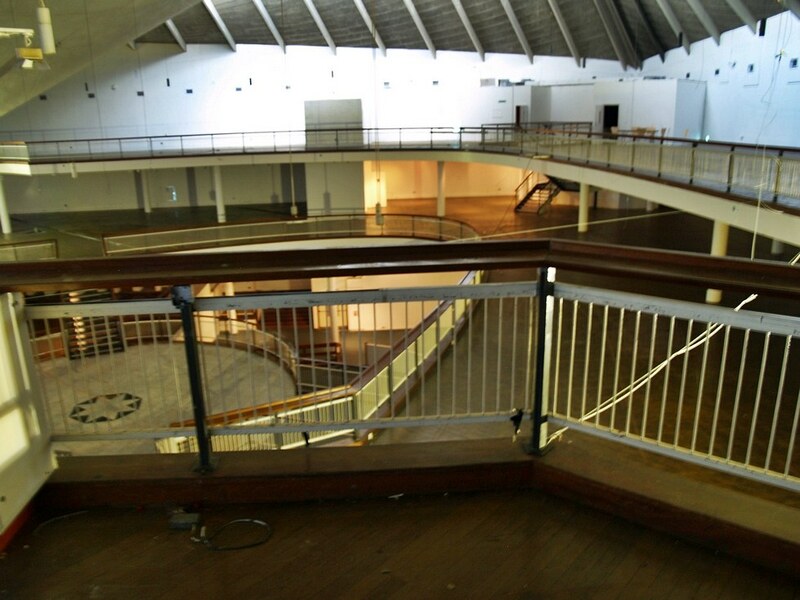 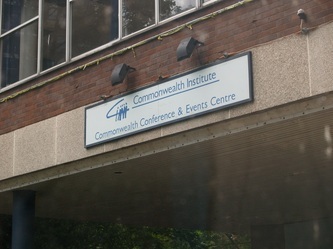 The building that used to house the Commonwealth Institute is a 1960s Millennium Dome. 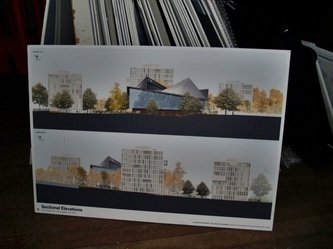 It is a monument to a fuzzy idea, which hoped to achieve through construction an image of confidence and certainty which the clients didn't have themselves. 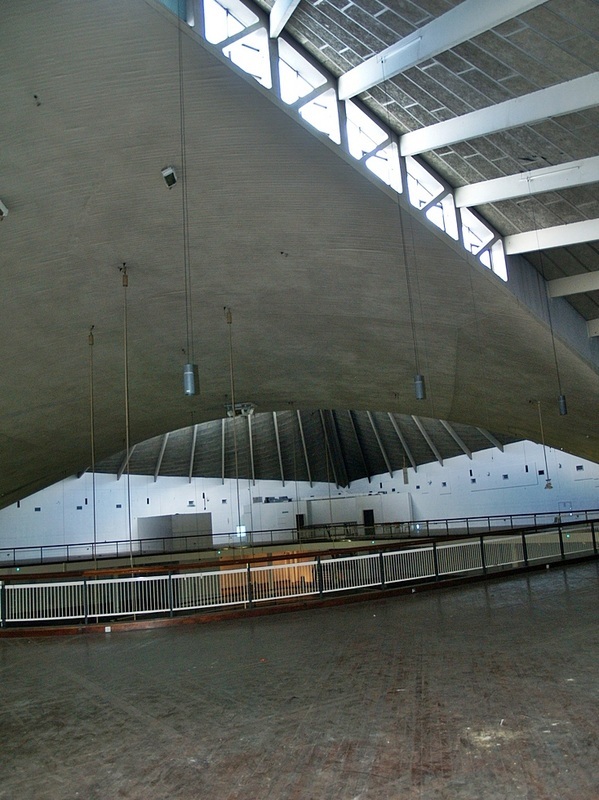 Like the Dome, it tried to look dynamic and modern, with thrusting buttresses and a parabolic roof, also tent-like, as if it sat lightly on the earth and could as easily be taken up and transported somewhere else. 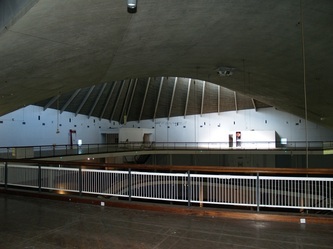 As with the Dome, image was tripped up by reality. 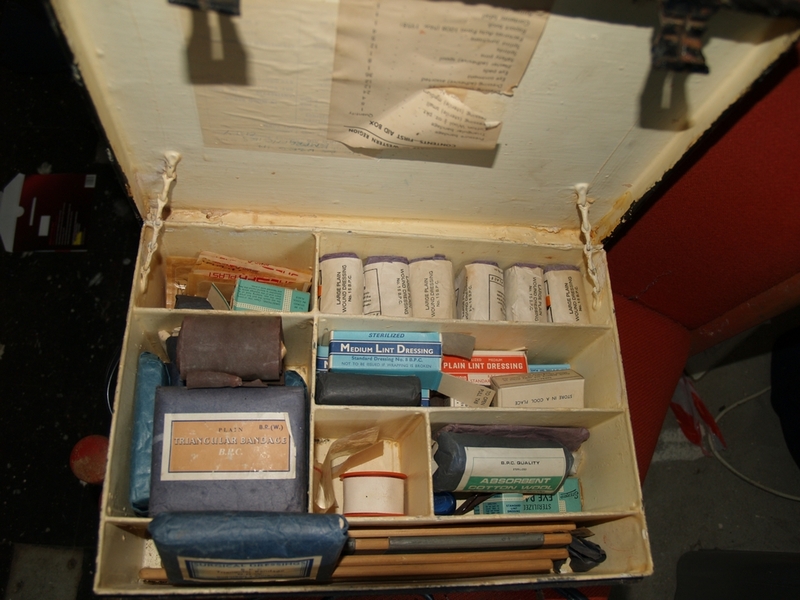 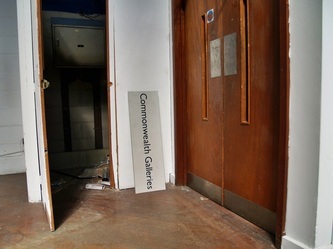 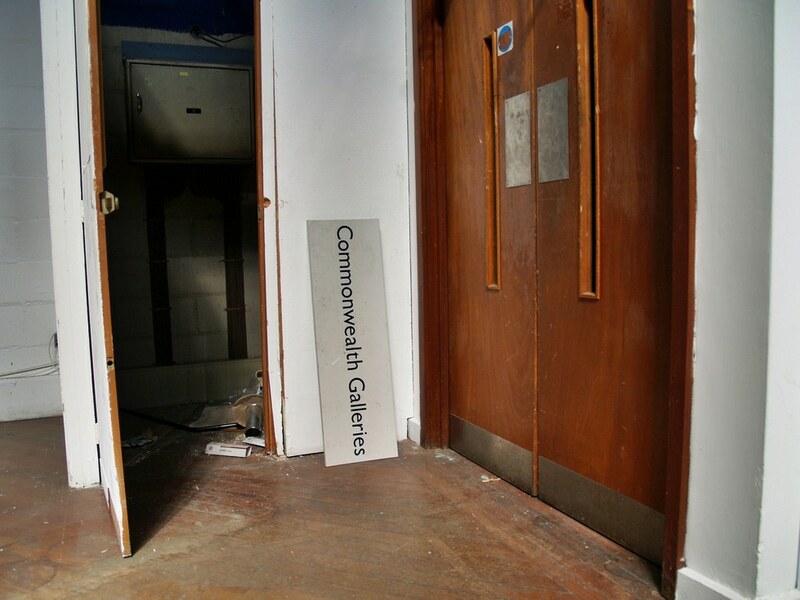 Its content - a series of exhibits about Commonwealth countries - struggled to interest people. 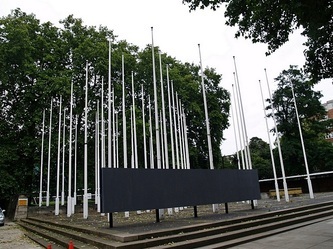 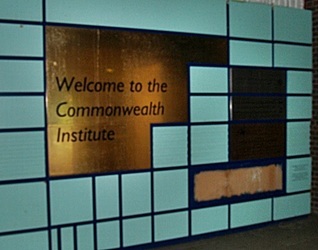 The Commonwealth is itself a compromise, a palliative for loss of empire with some capacity for benign influence, so to create an institute about a compromise is to wrap something woolly in yet more wool. 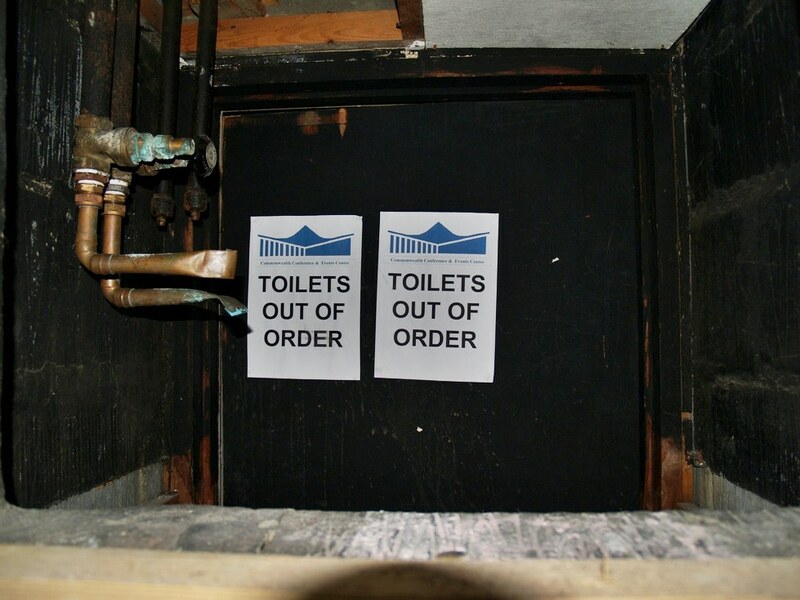 No amount of architecture can disguise this fact. 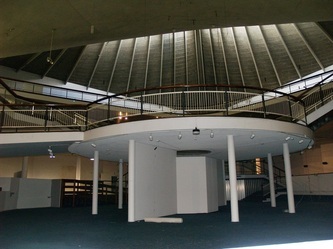 The supposed lightness and flexibility of the structure turned out to be an illusion, and, as with the Dome, finding a new use has not been easy. 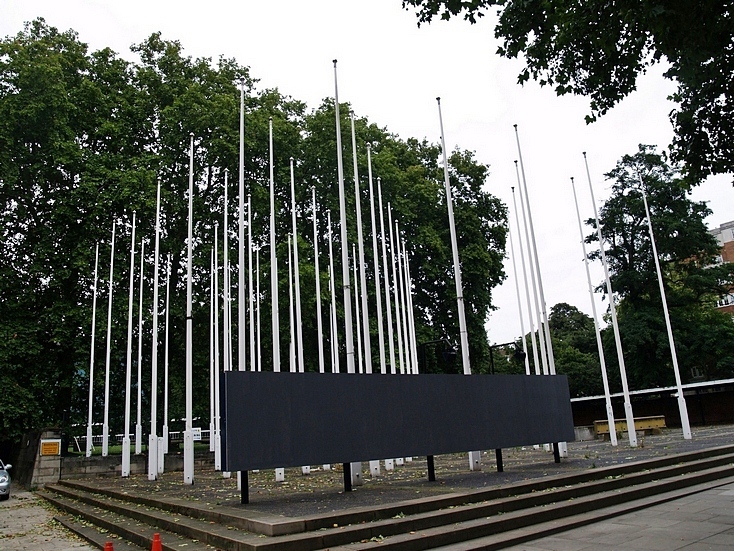 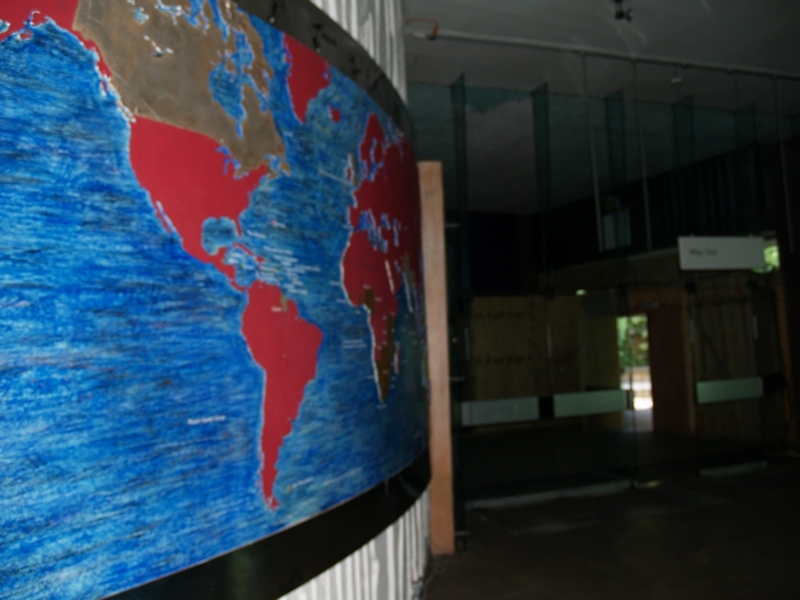 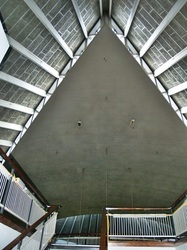 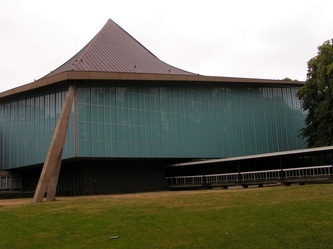 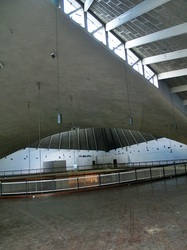 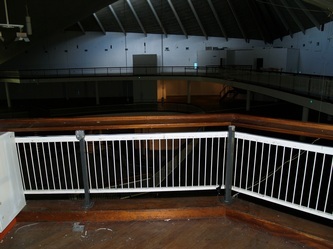 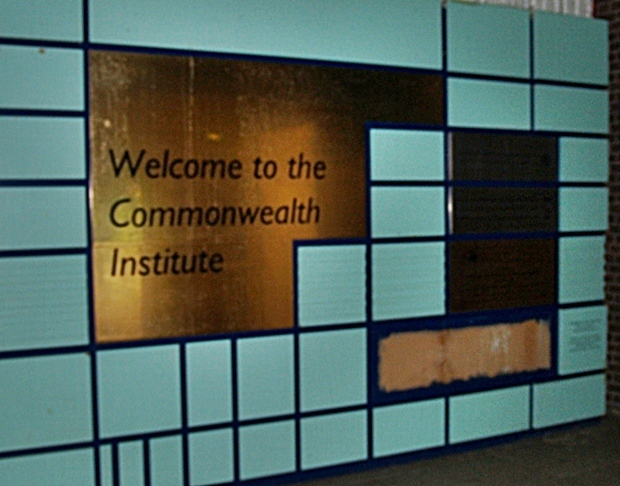 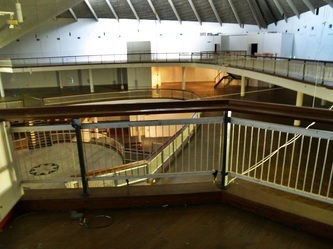 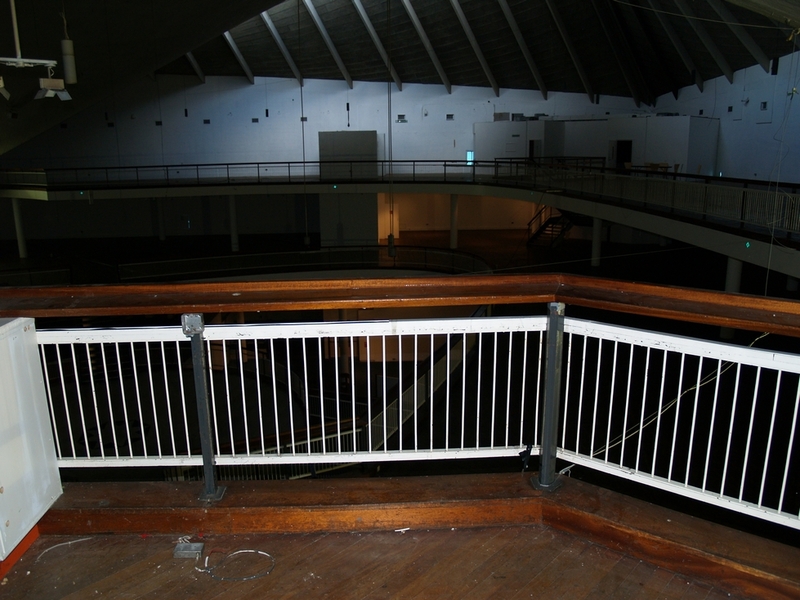 The original purpose of the Institute building was doomed when Britain joined what is now the European Union - an act which reduced the importance of the Commonwealth and made its countries less inclined to contribute to the Institute - and the exhibition space eventually closed as a permanent display when the exhibits were removed in 1996. 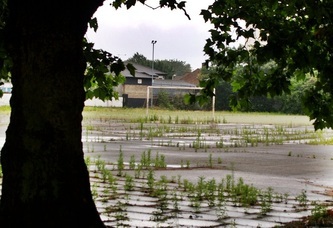 Despite 15 studies and proposals since 1987, it remains forlorn and stubbornly empty, marooned at the southern end of Holland Park like some relic of a long-abandoned space programme. It occupies some intensely desirable real estate but is inert and valueless. 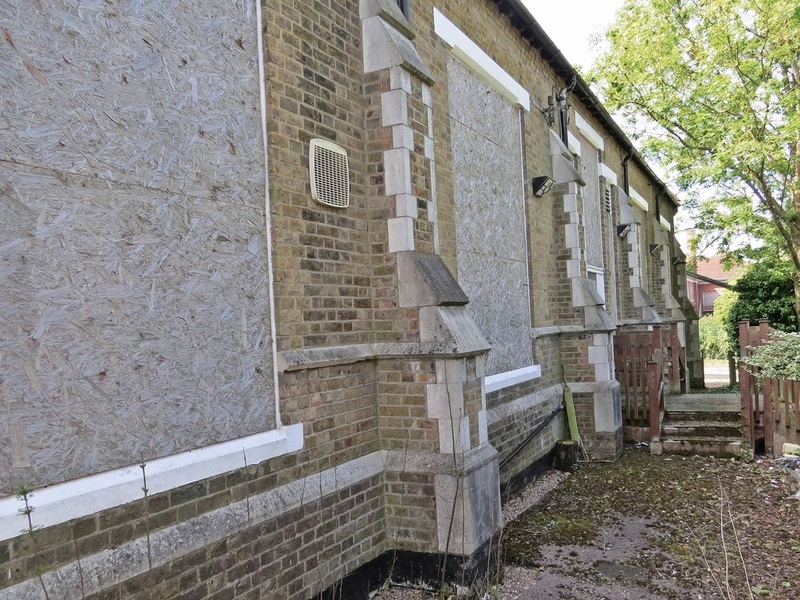 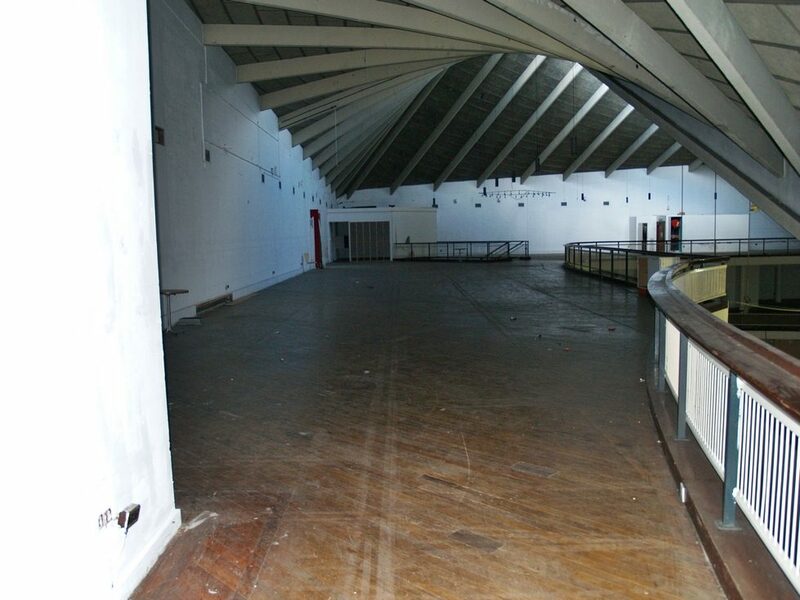 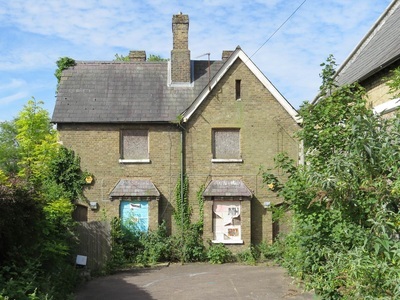 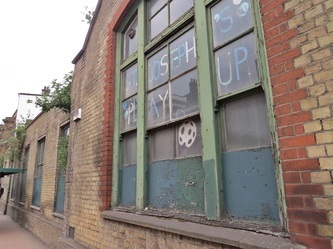 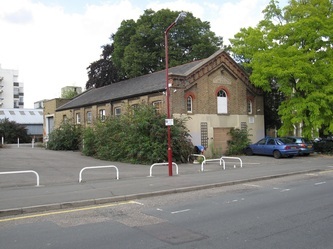 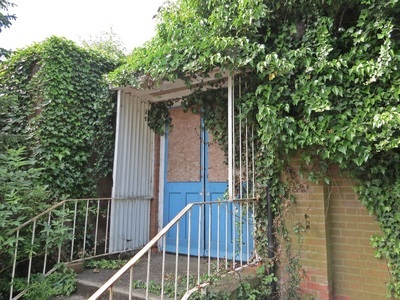 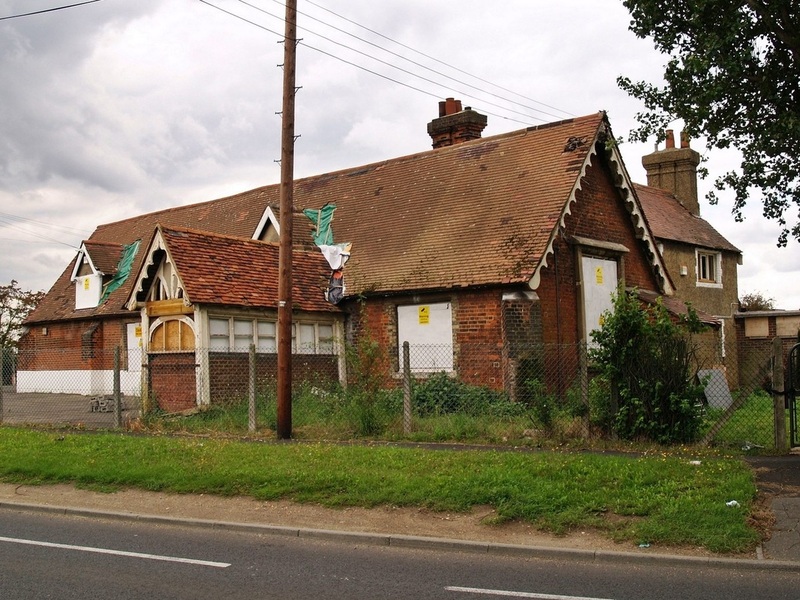 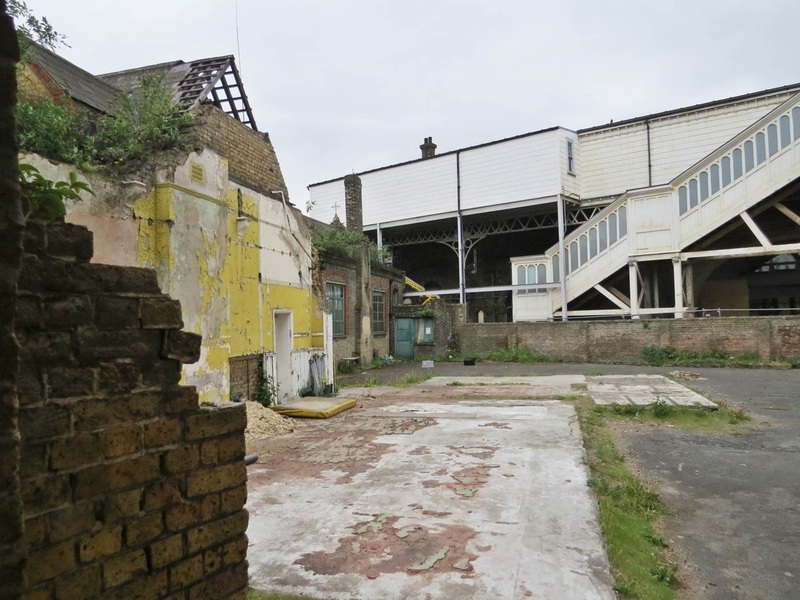 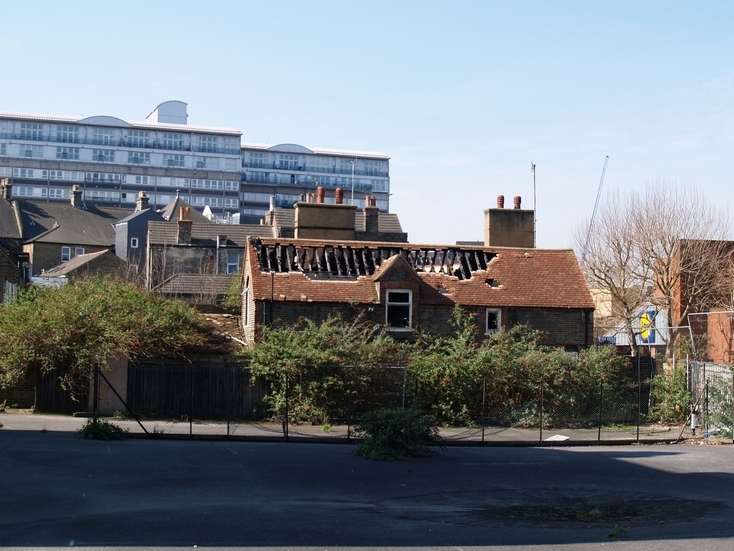 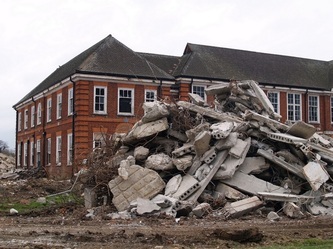 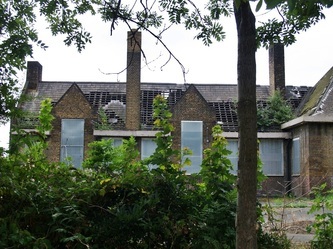 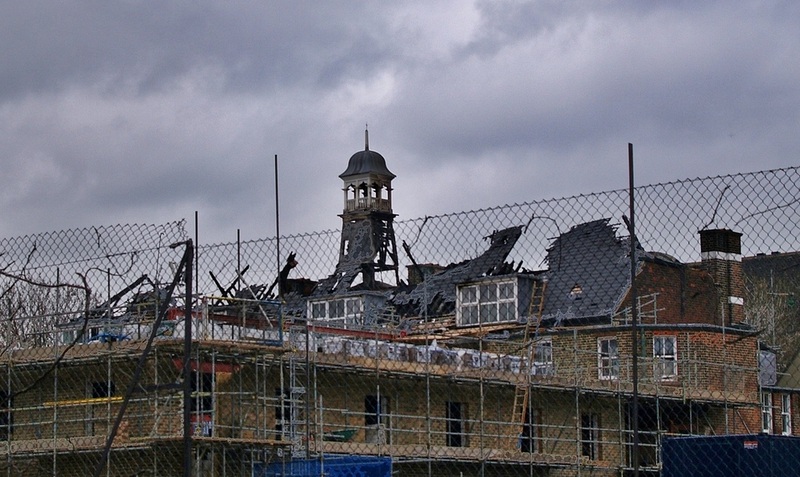 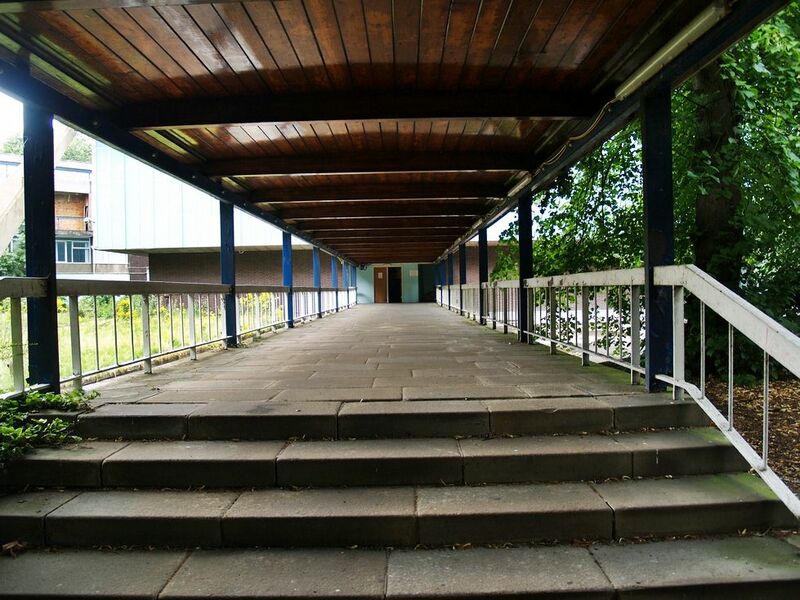 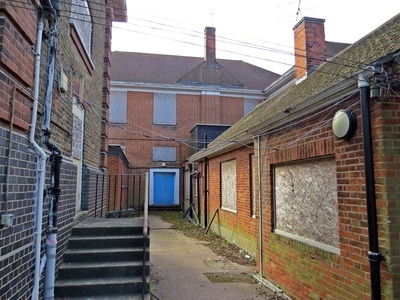 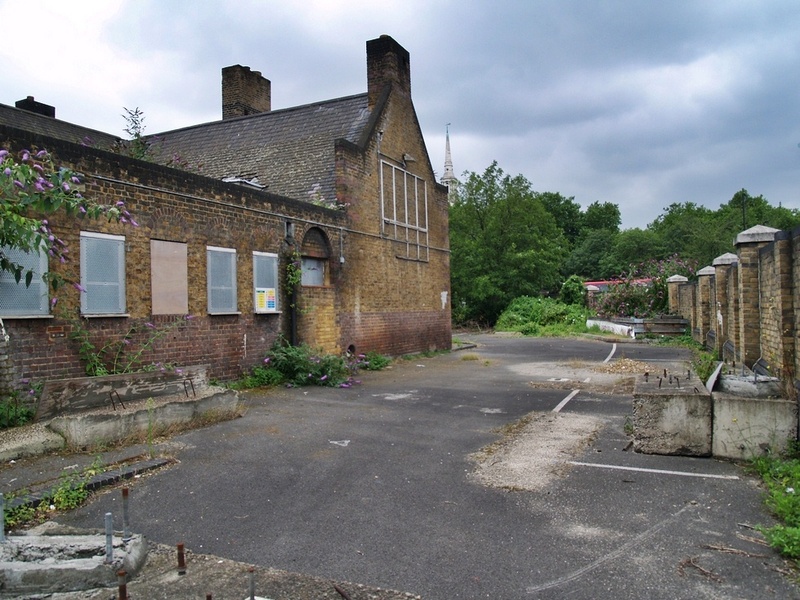 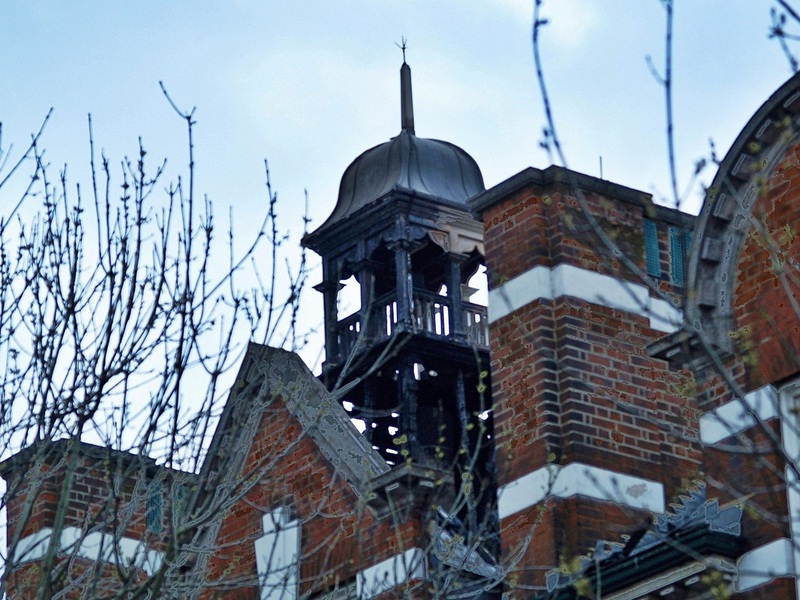 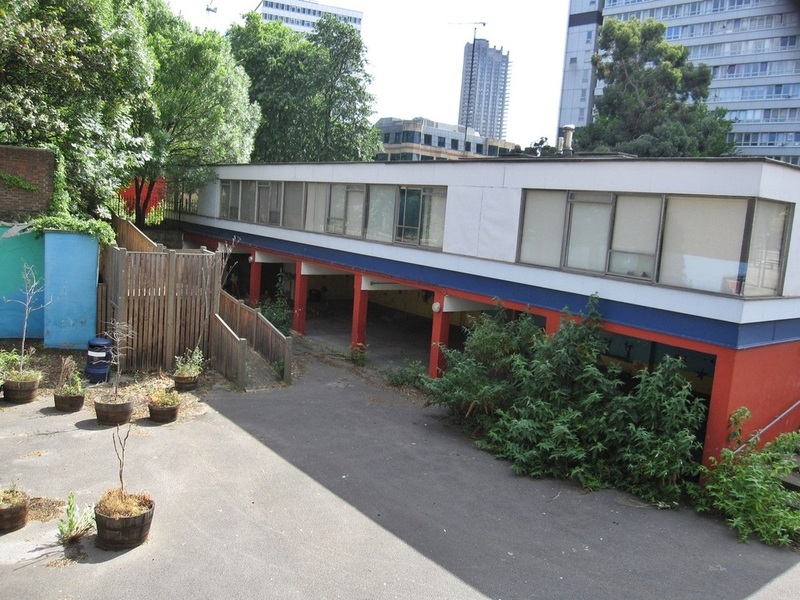 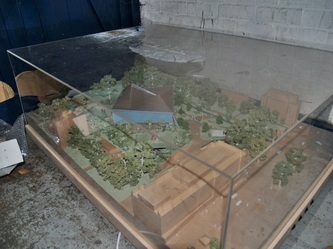 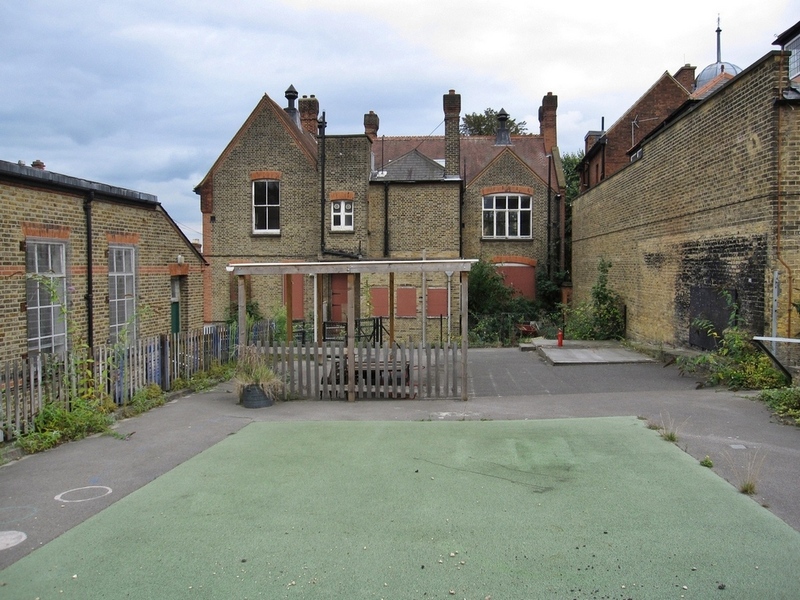 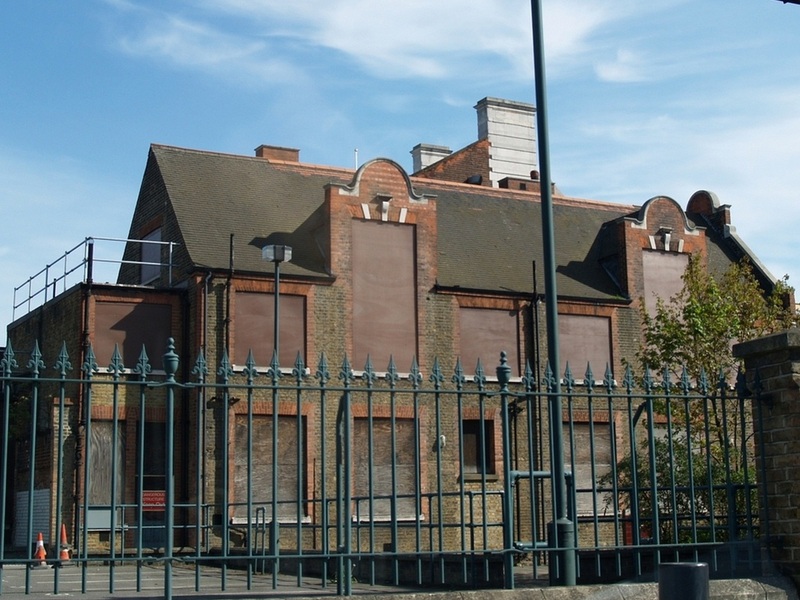 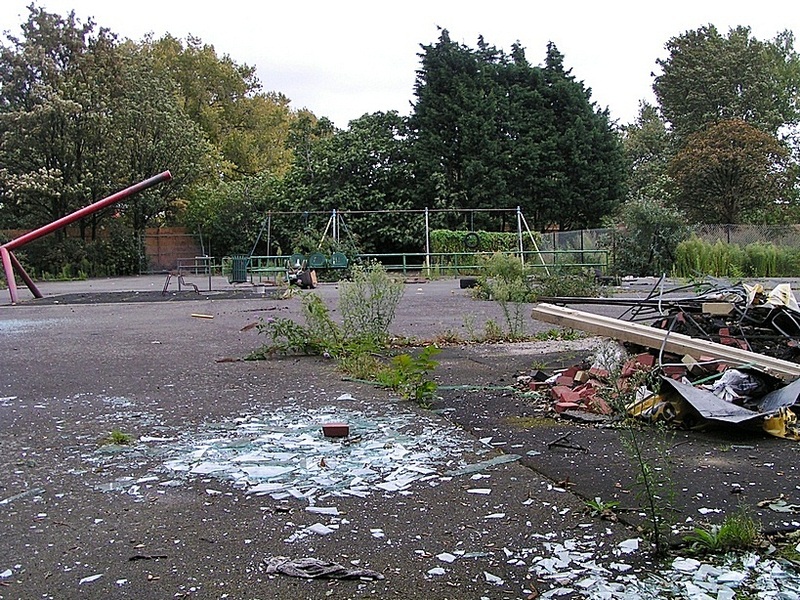 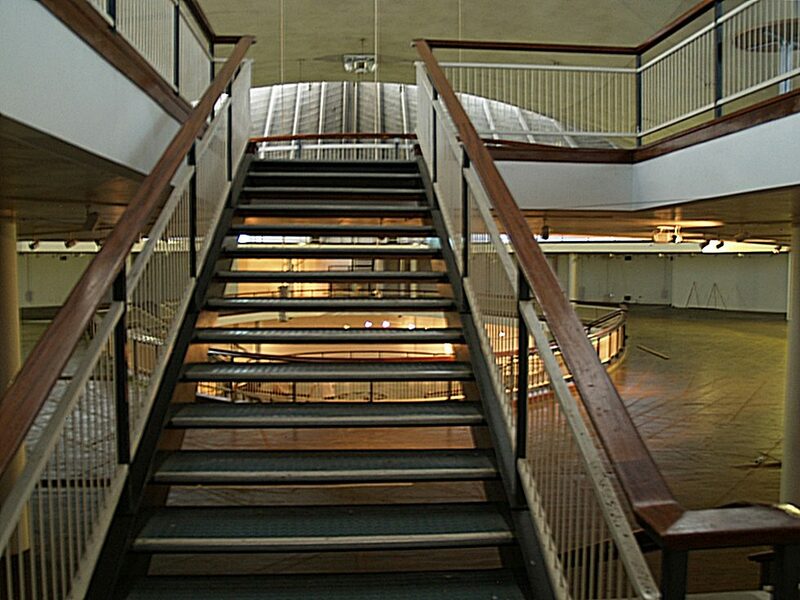 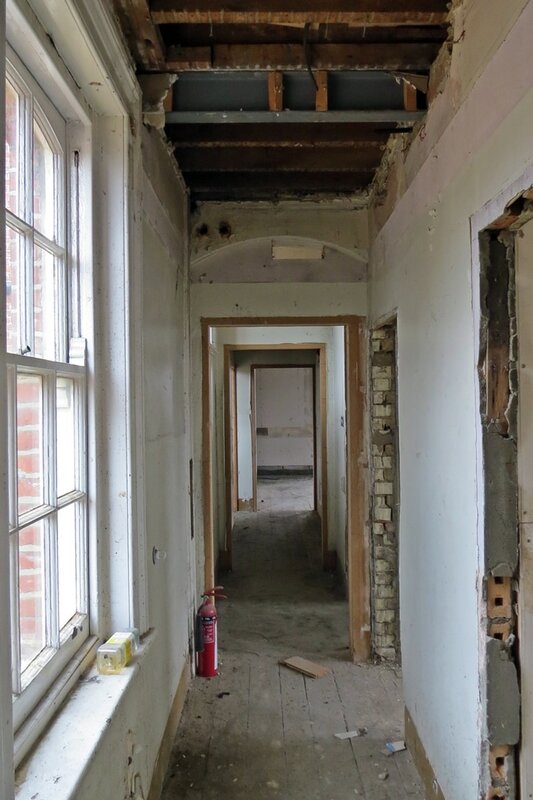 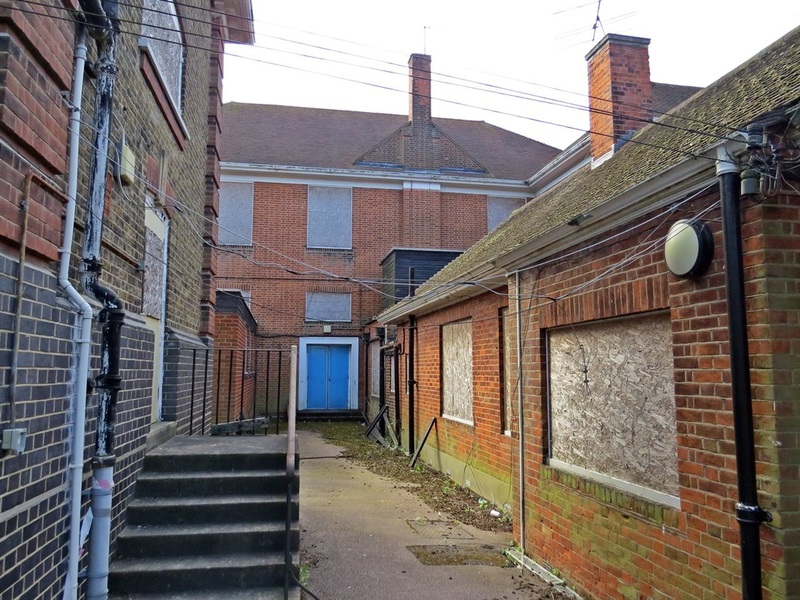 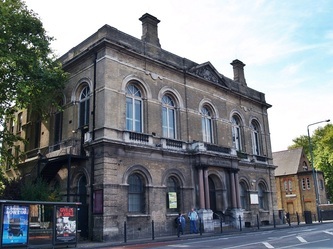 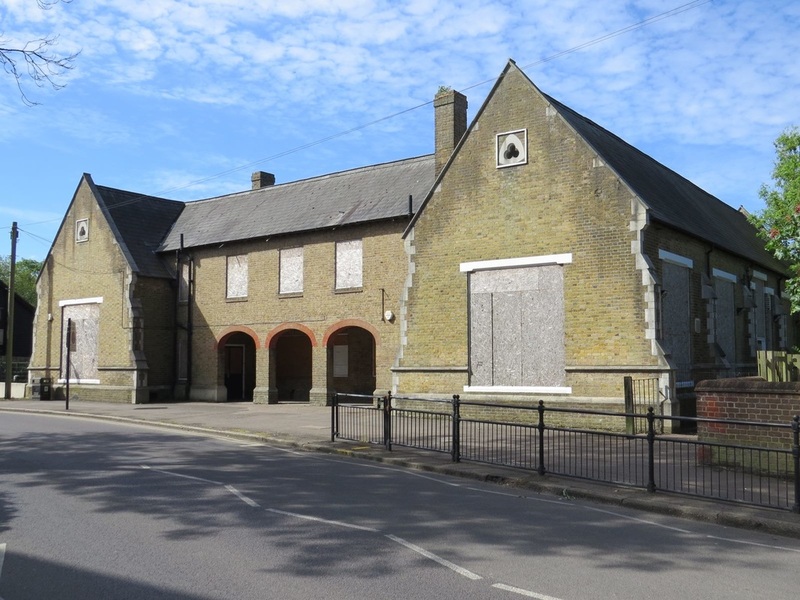 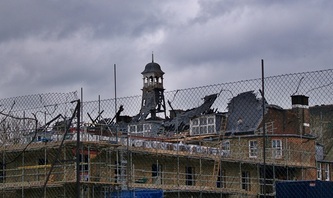 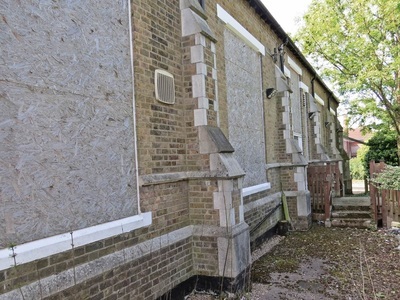 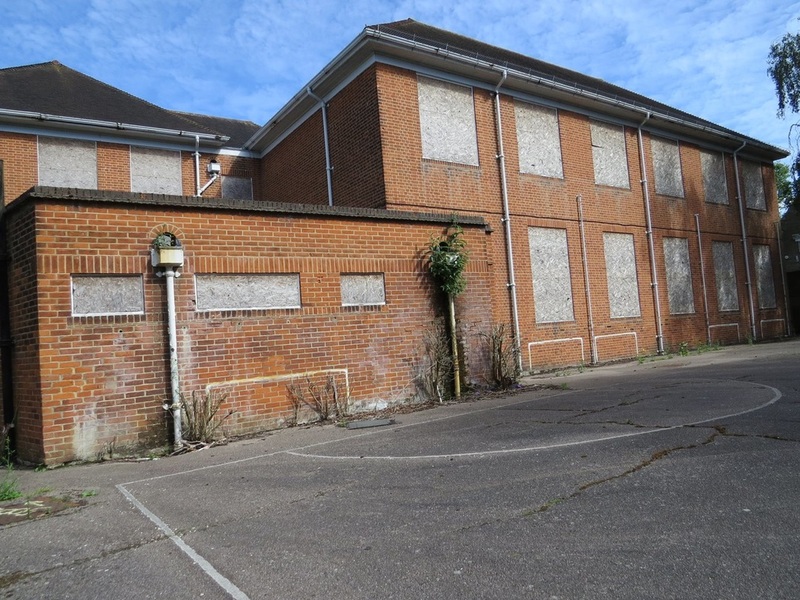 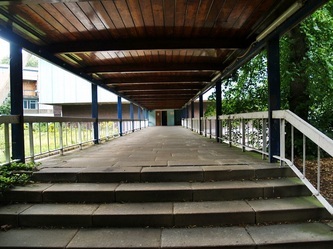 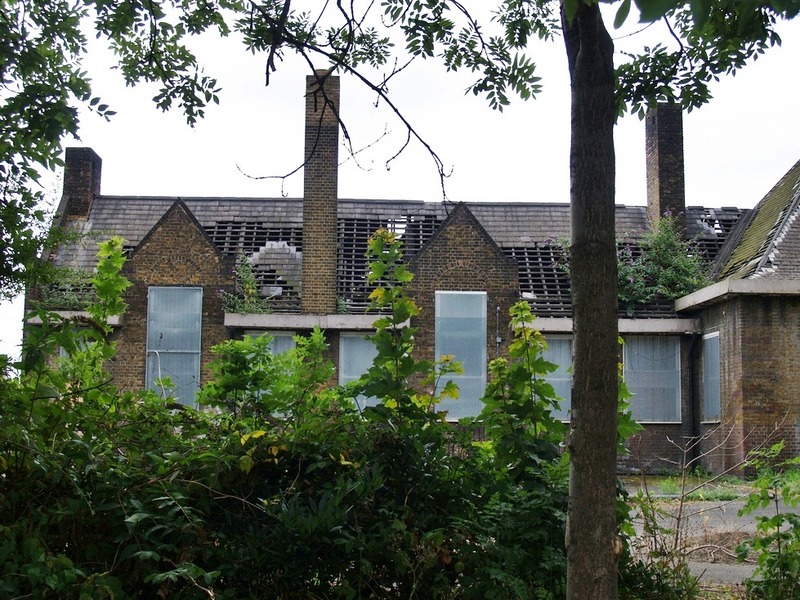 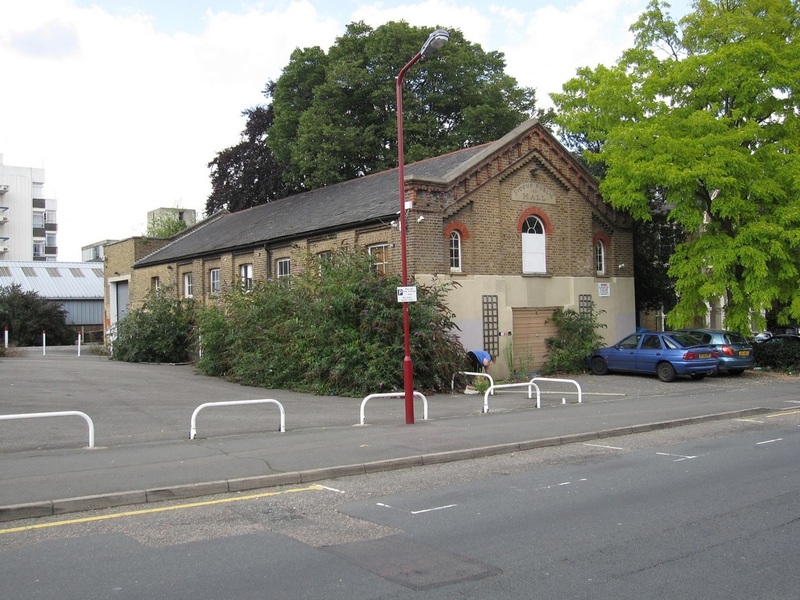 Despite Grade II listing in 1988 and a £3 million restoration in 2001, the building was abandoned and its own trustees since embarked on a high profile campaign to de-list, demolish and sell the site to fund its educational operations based in Cambridge. 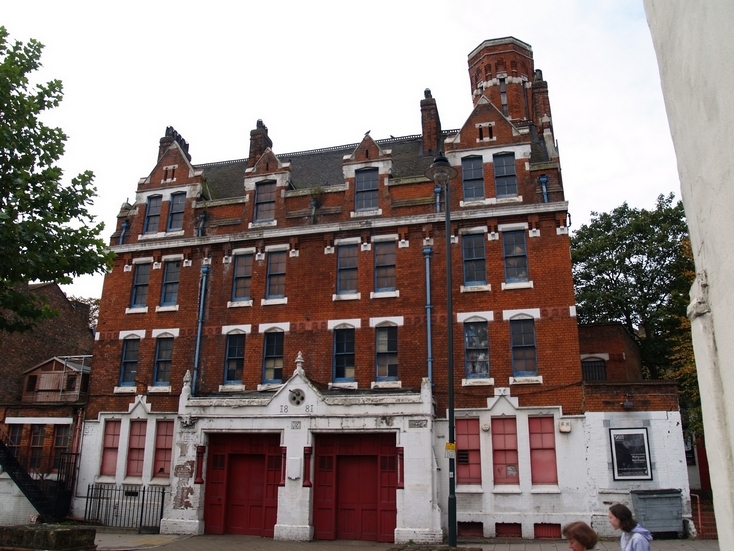 Built in 1903, this fire station replaced an earlier 1868 station on the same spot. 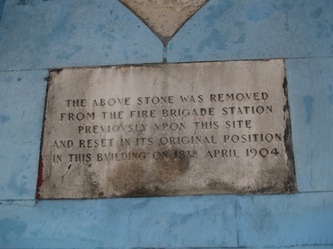 I have been told that in the basement there is a plaque recording that this was the site of St Thomas a Watering, the first stop for medieval pilgrims bound for the shrine of St Thomas a Becket in Canterbury, where they could find water for their thirsty horses. 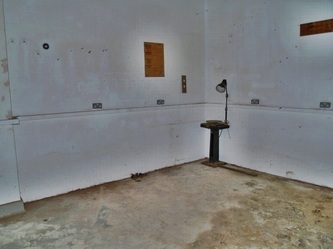 The well they drew from is now buried far underground. Hangings apparently also took place here. 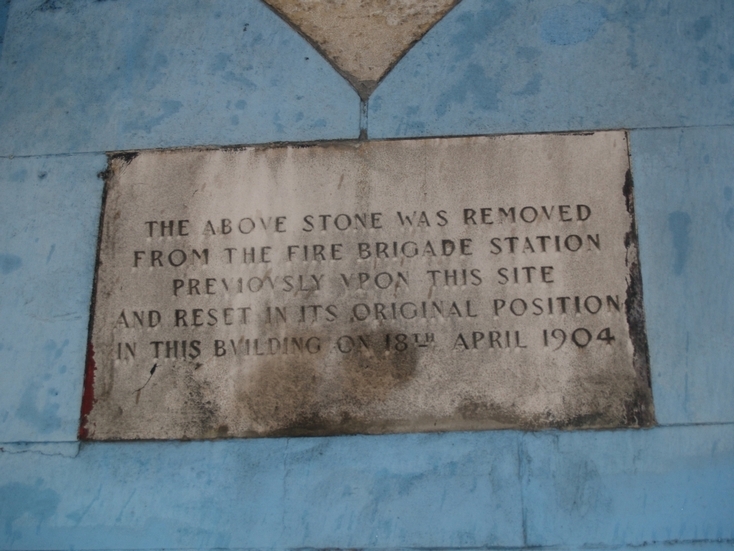 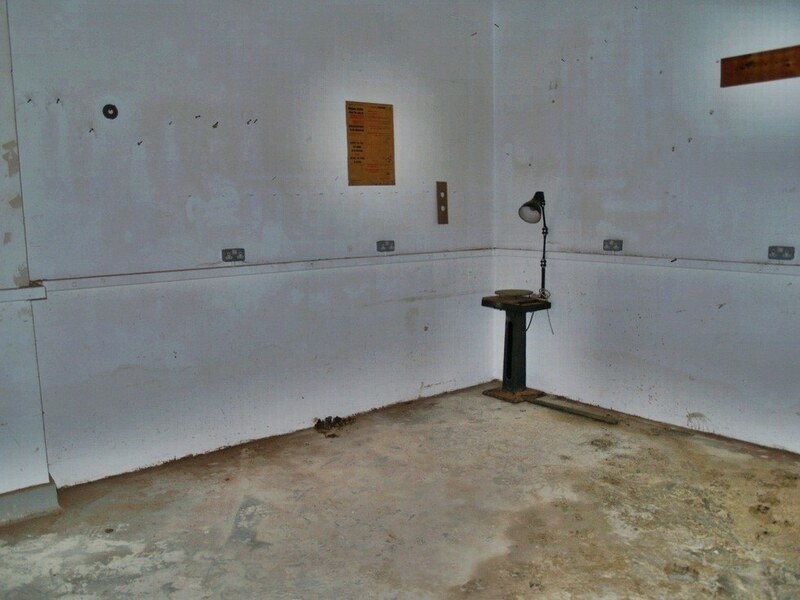 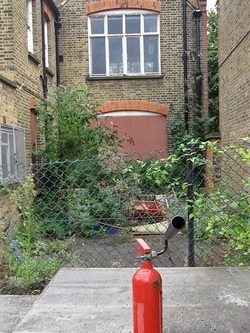 The fire station has been disused since 1971. 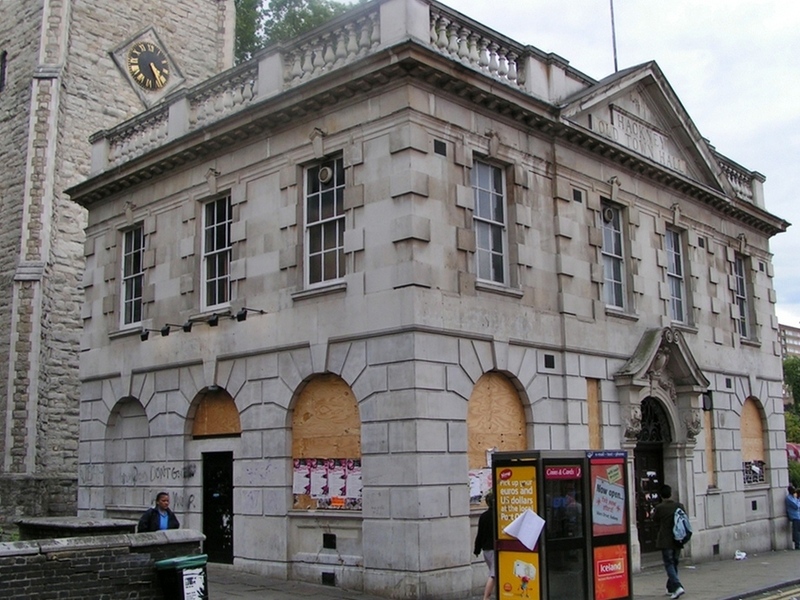 Part of the building now houses a second-hand shop (the largest antique fireplace showroom in the world, so it is claimed). 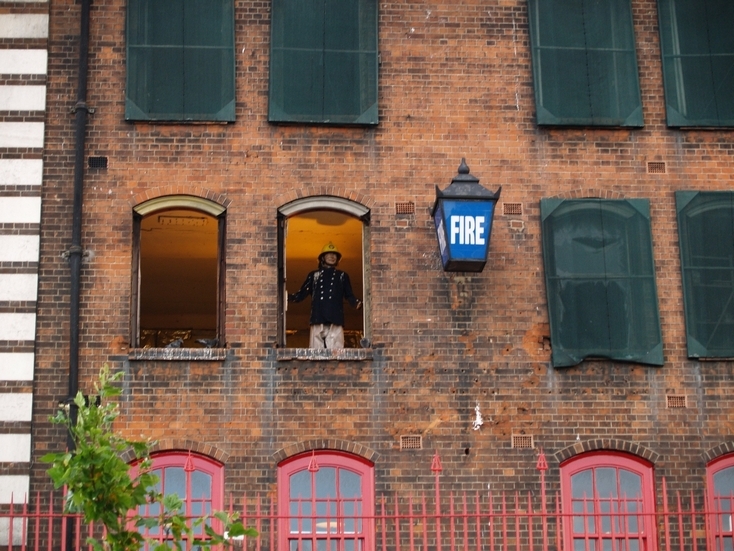 Note the old fire station dummy in the window. 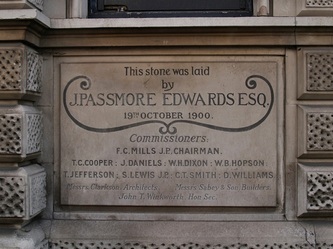 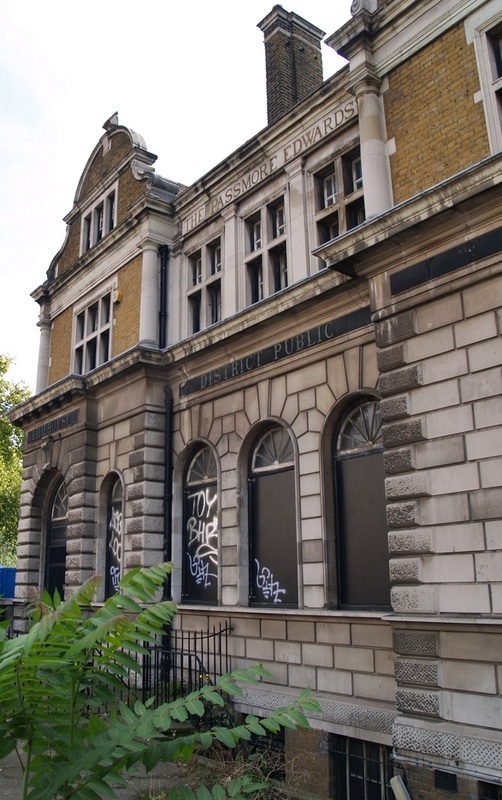 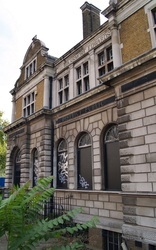 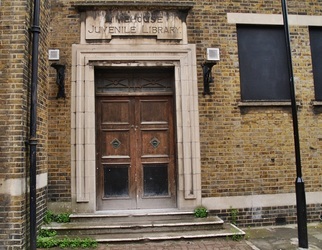 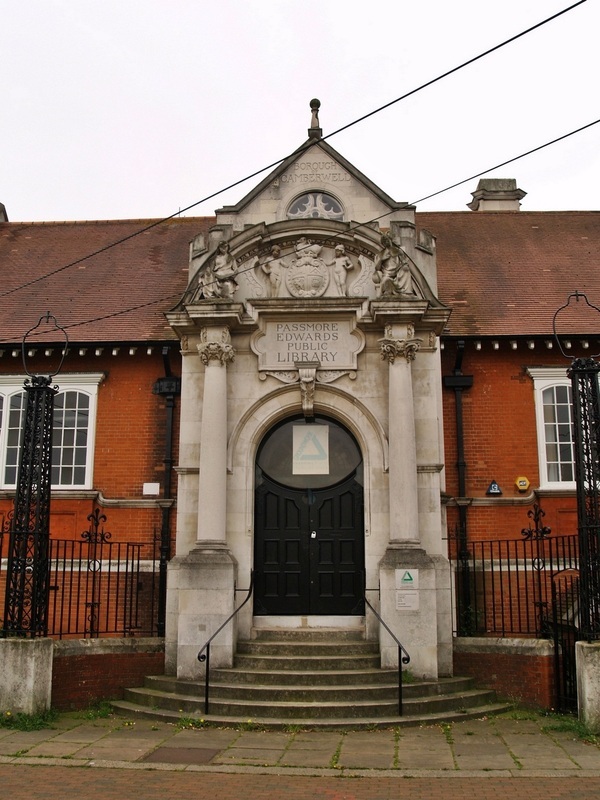 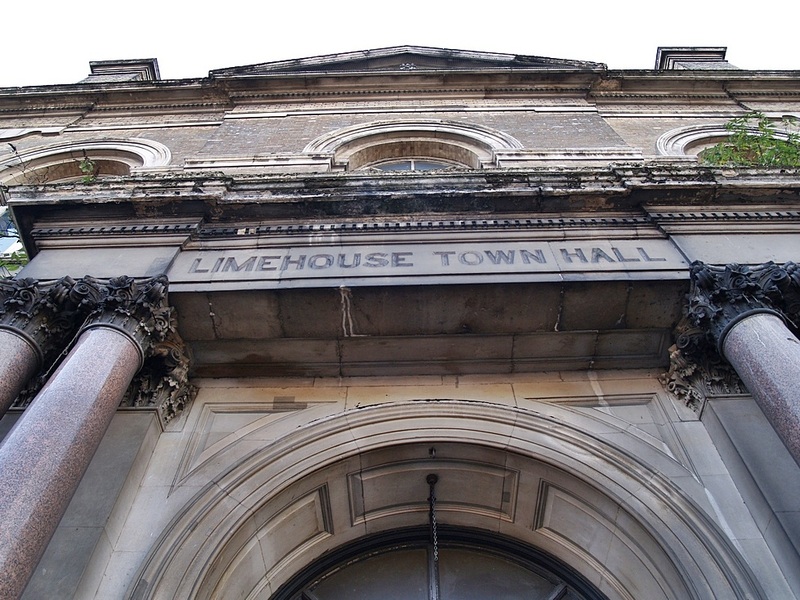 Limehouse Public Library was first proposed for construction in 1888, but the required finances could not be raised until 1900 when J Passmore Edwards (a journalist, newspaper owner and philanthropist) was approached for assistance. He subscribed a sum of £5000, and he subsequently laid the foundation stone on October 19 of that year. 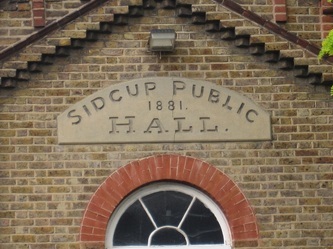 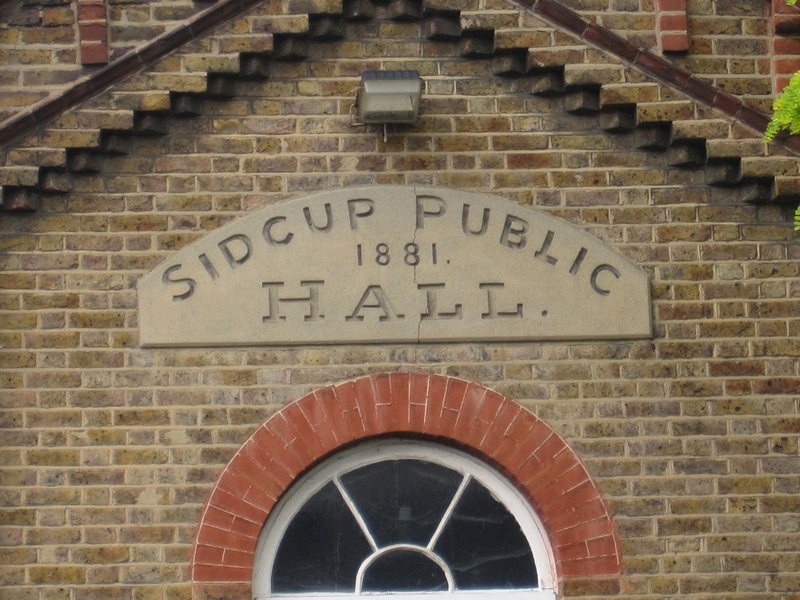 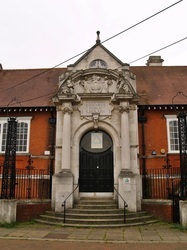 The library was opened to the public in November 1901 by The Mayor of Stepney. 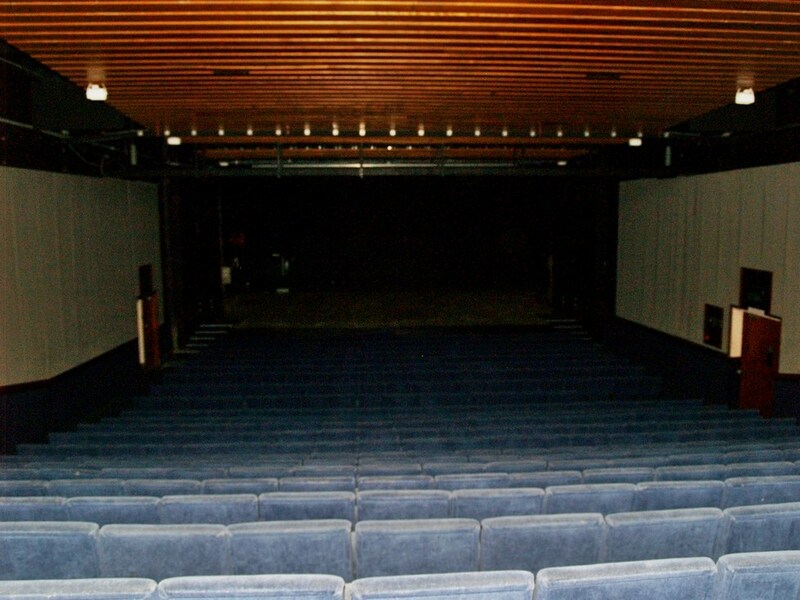 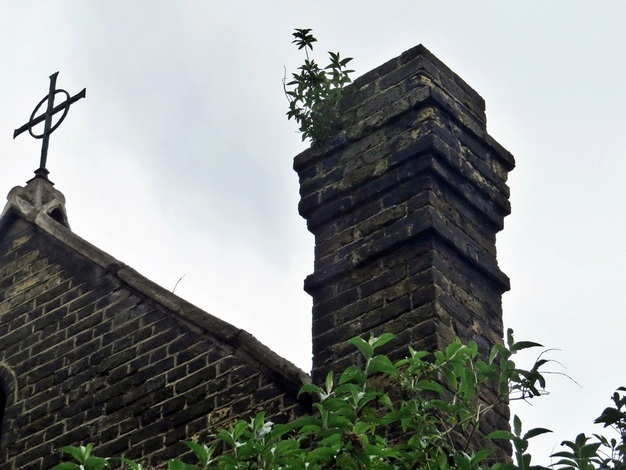 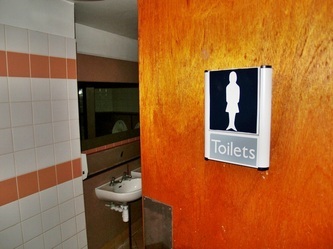 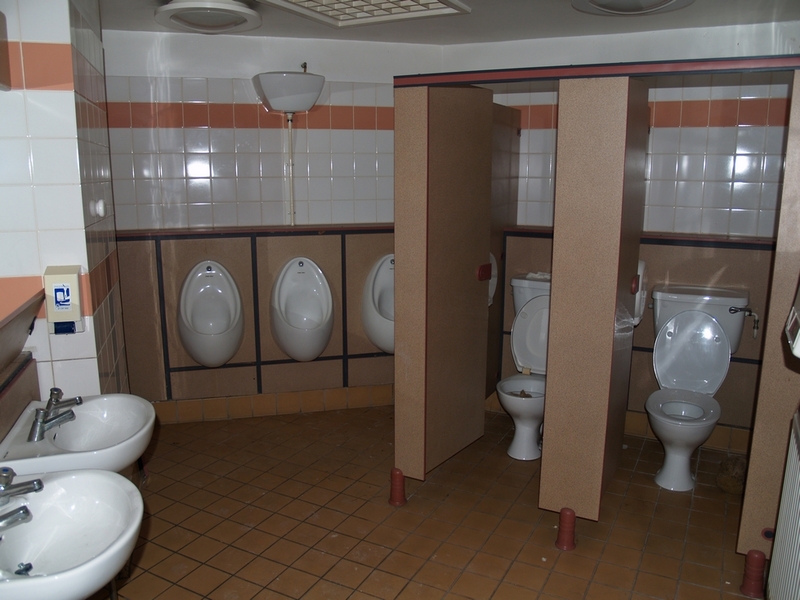 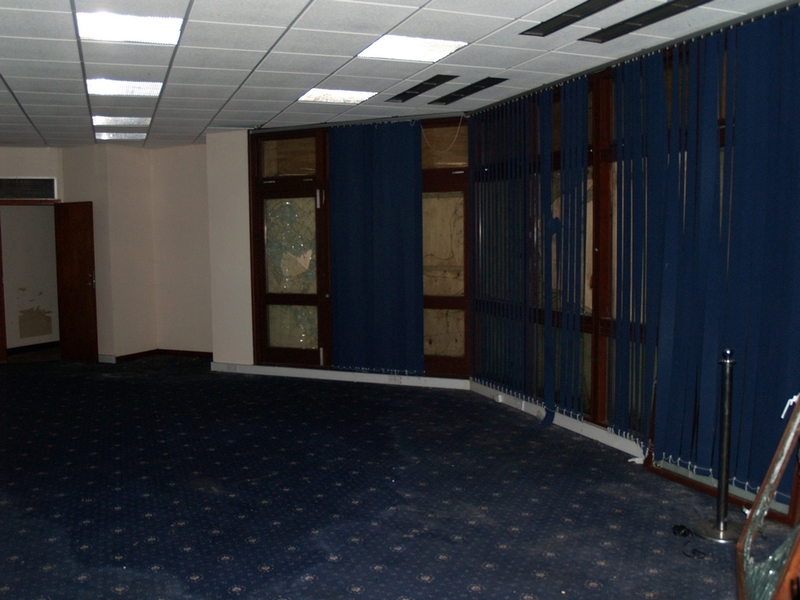 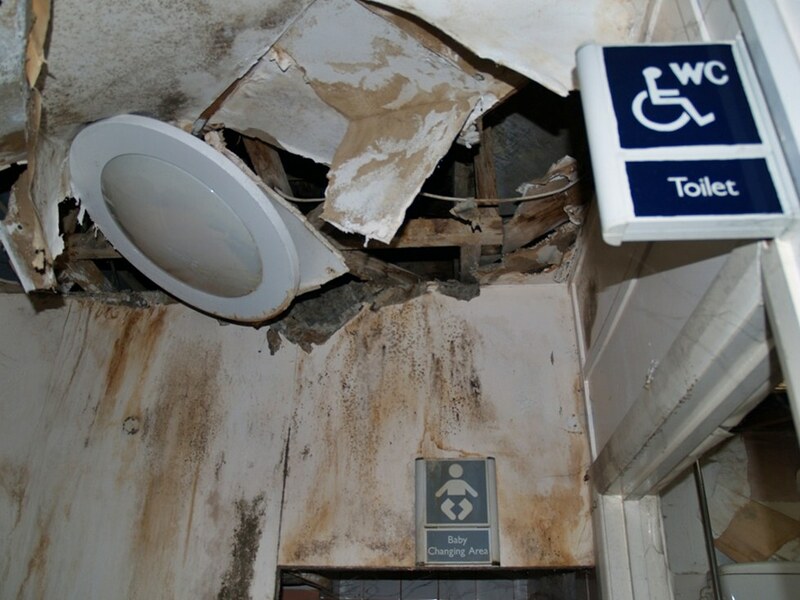 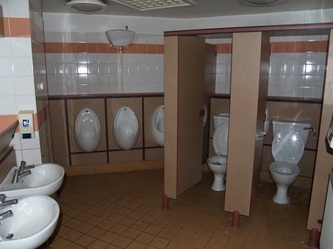 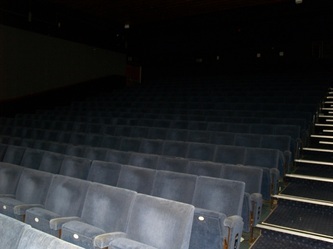 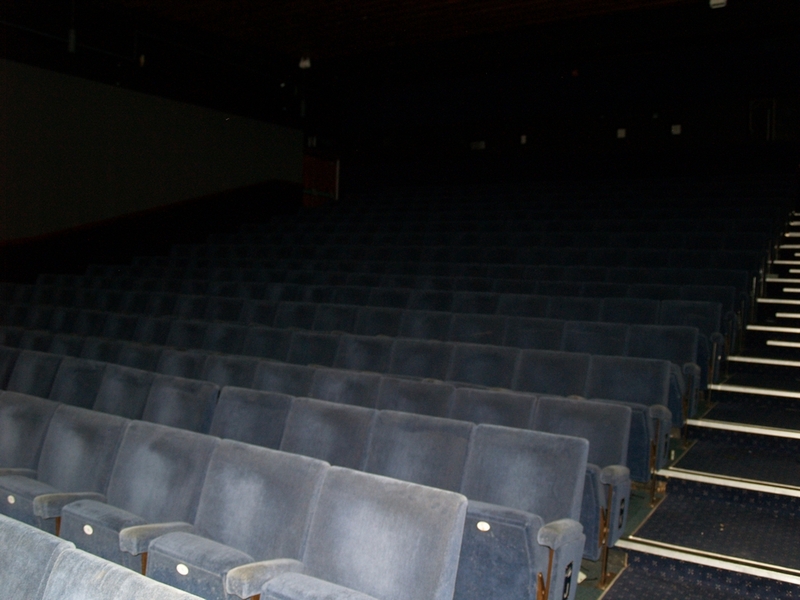 More recently usage of the Grade II listed building fell, and it eventually closed in 2003. 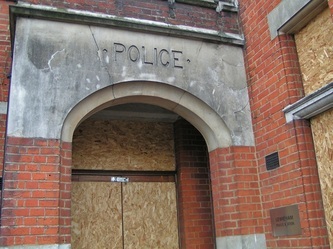 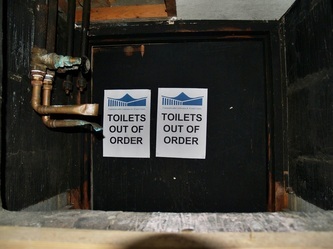 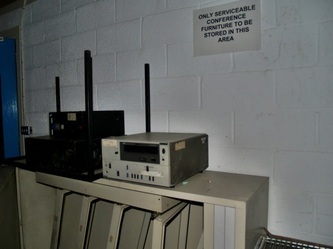 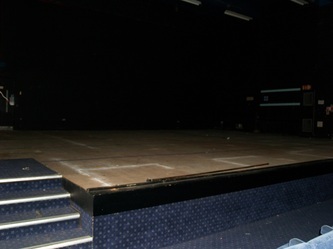 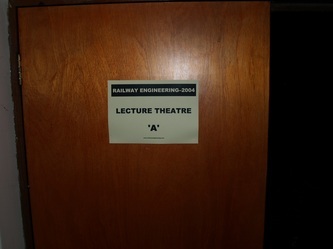 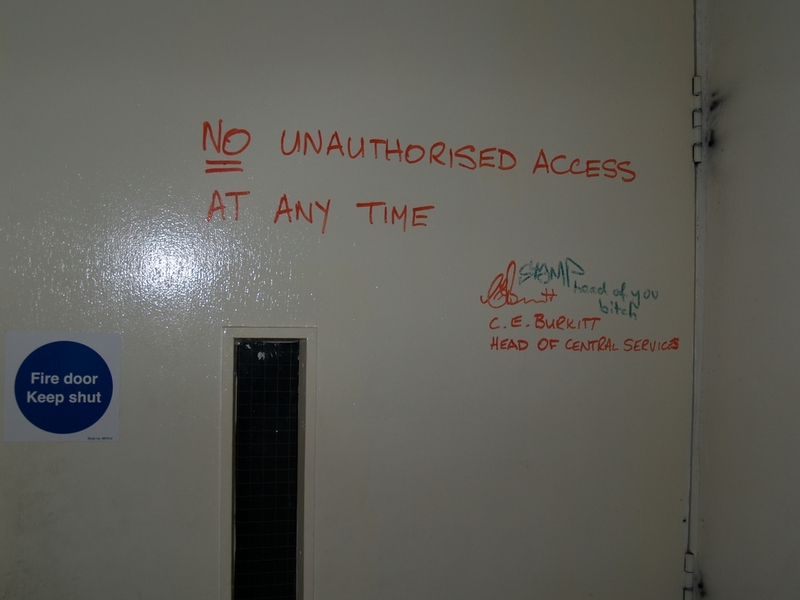 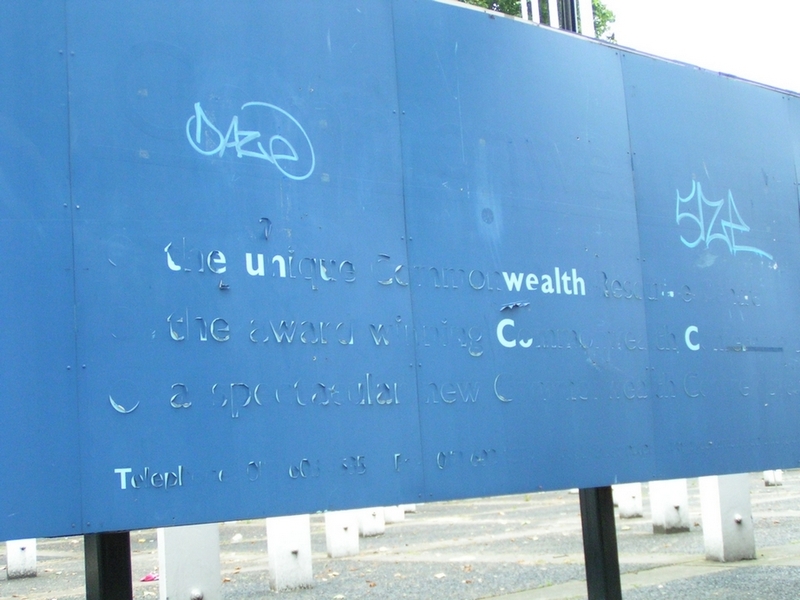 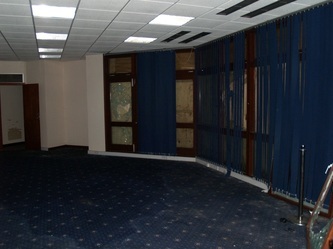 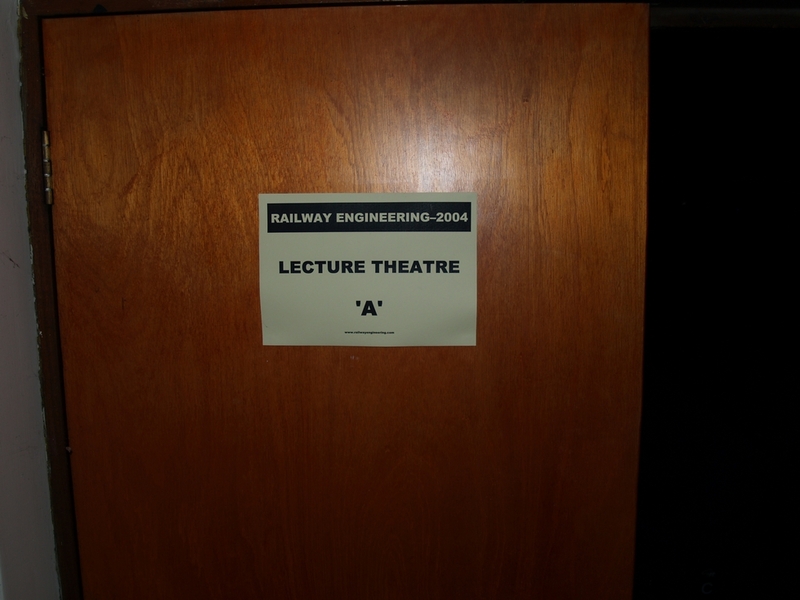 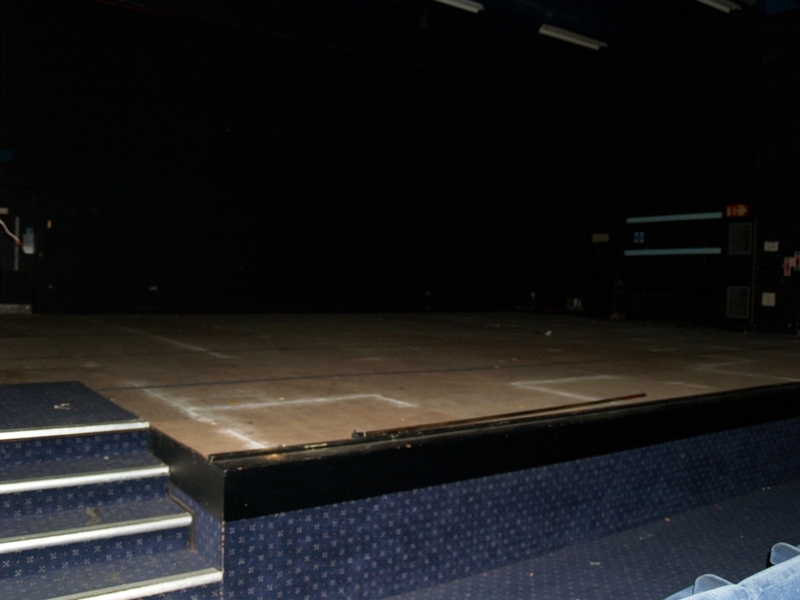 It is currently boarded up to prevent vandalism. 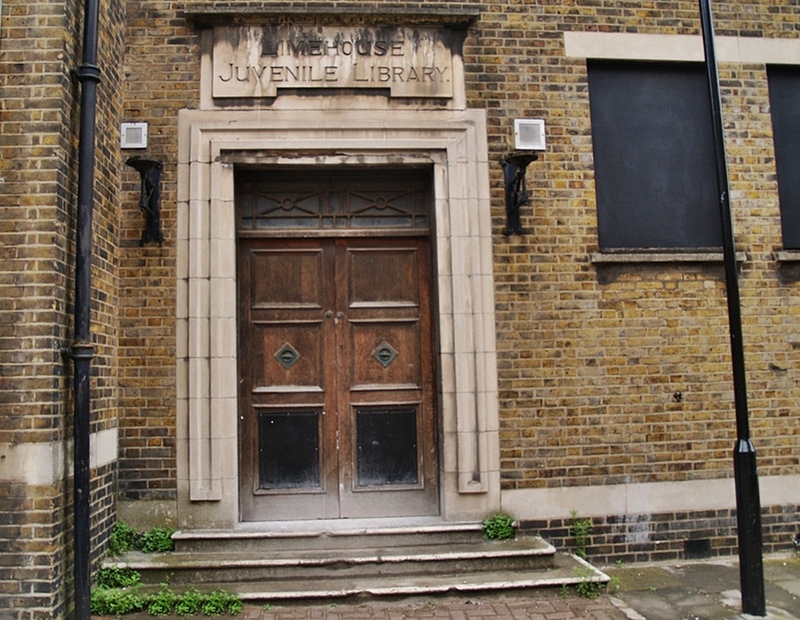 Outside formerly stood a statue, erected in 1988, of Clement Attlee, who was Labour Member of Parliament for Limehouse from 1922 to 1950, and Prime Minister of the United Kingdom from 1945 to 1951. In April 2011 the statue was unveiled in its new position less than a mile away at Queen Mary University of London, in Mile End.